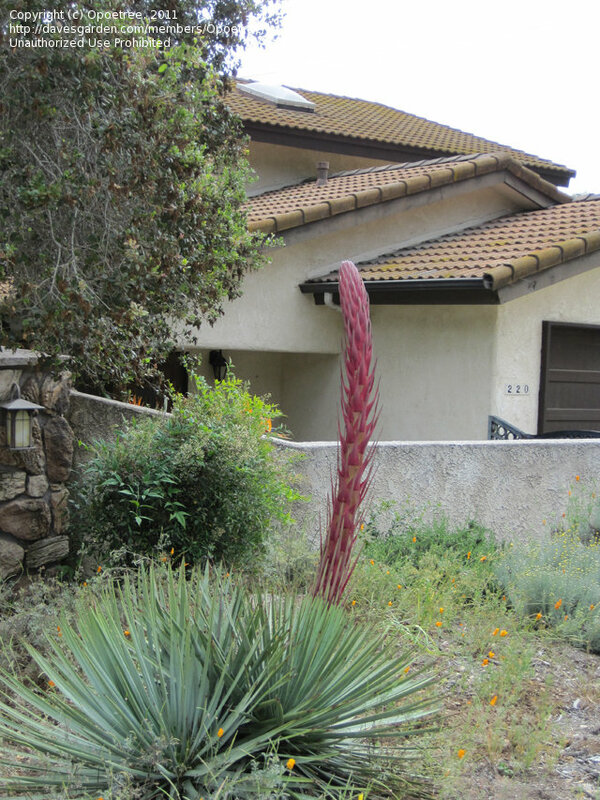 You have to catch these moments before the stalk shoots up...almost as quickly as a bean-stalk sometimes! 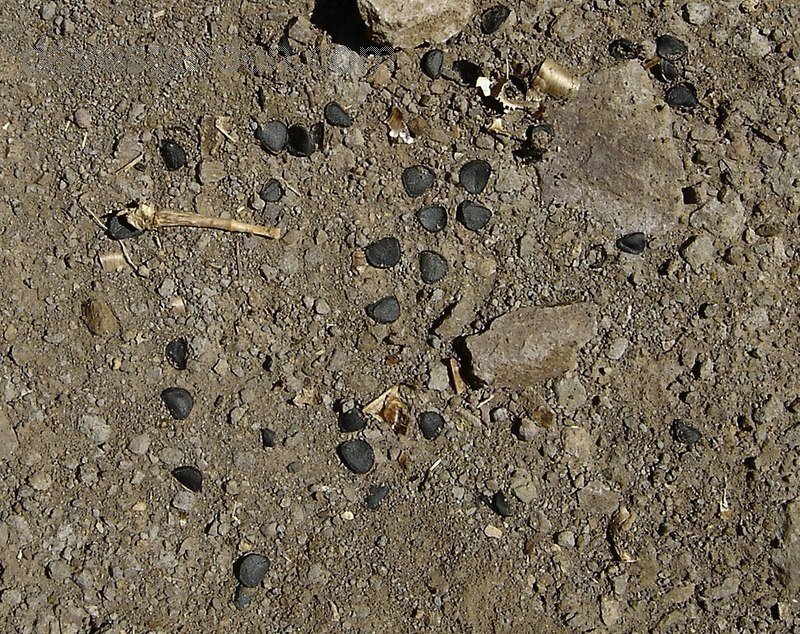 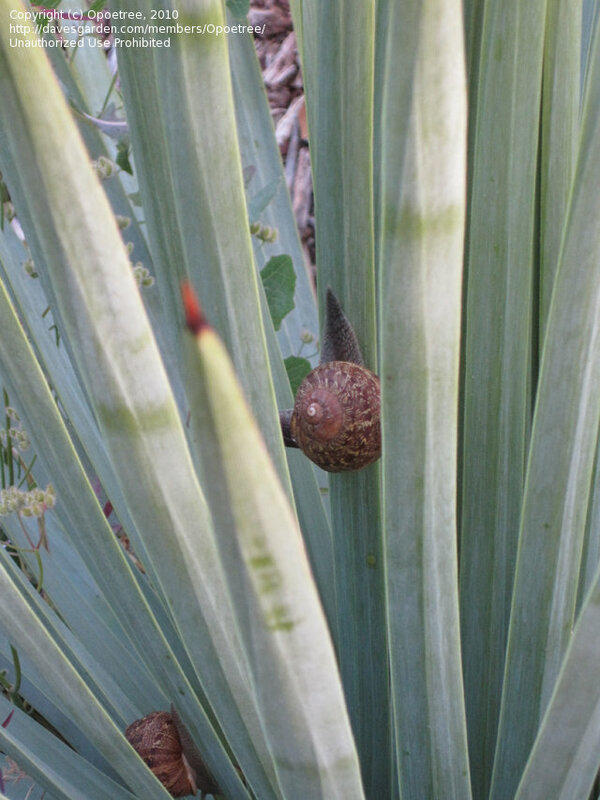 Not sure how snails navigate these -- but they do! 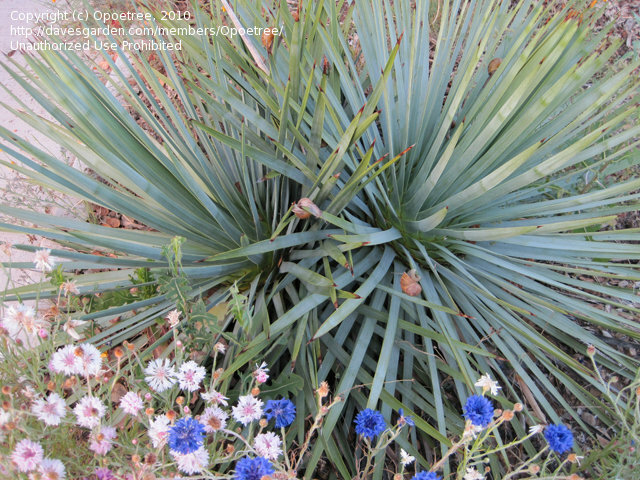 A nice blue tinge -- accented by the cornflowers. 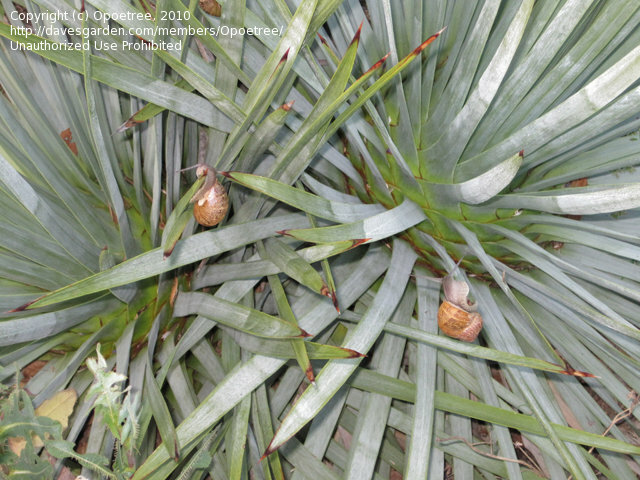 No blooms this year -- but lots of snails! 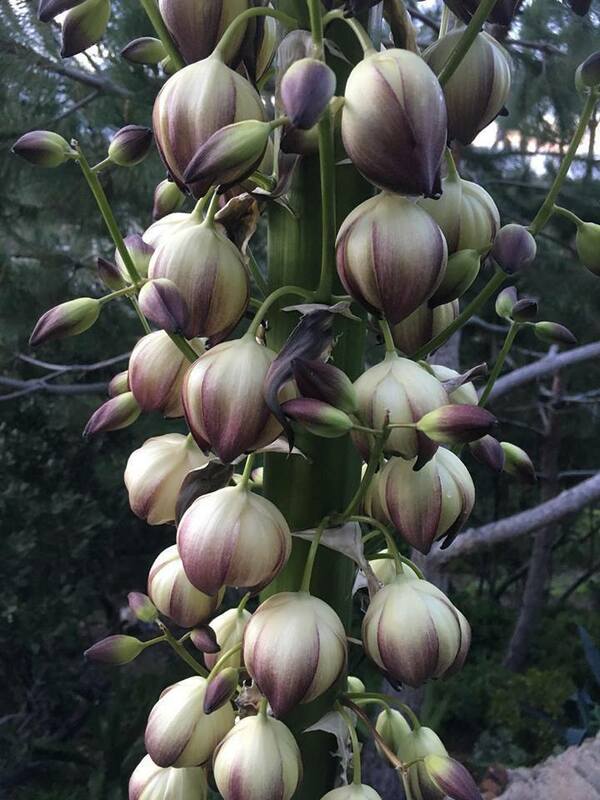 How's this for a Mother's Day bouquet? 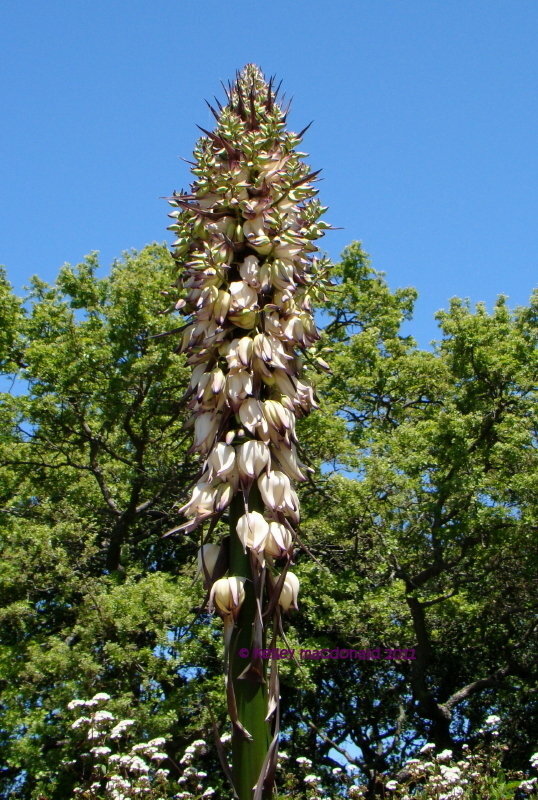 Taken on 5-8-2011. 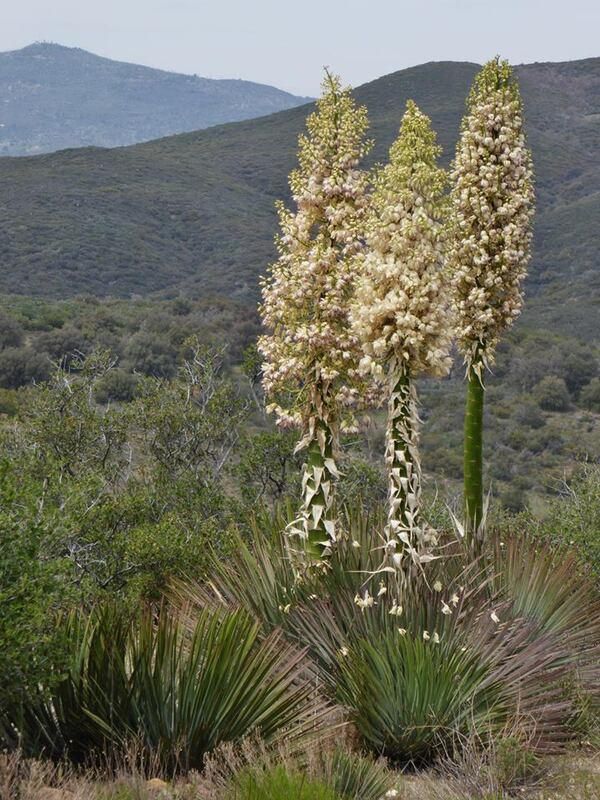 Yucca flowers -- couldn't be a better bouquet from nature! 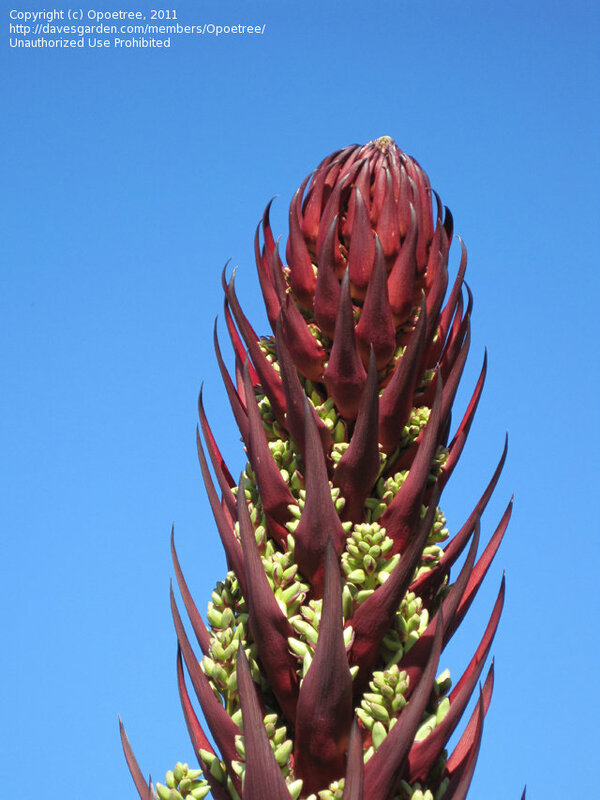 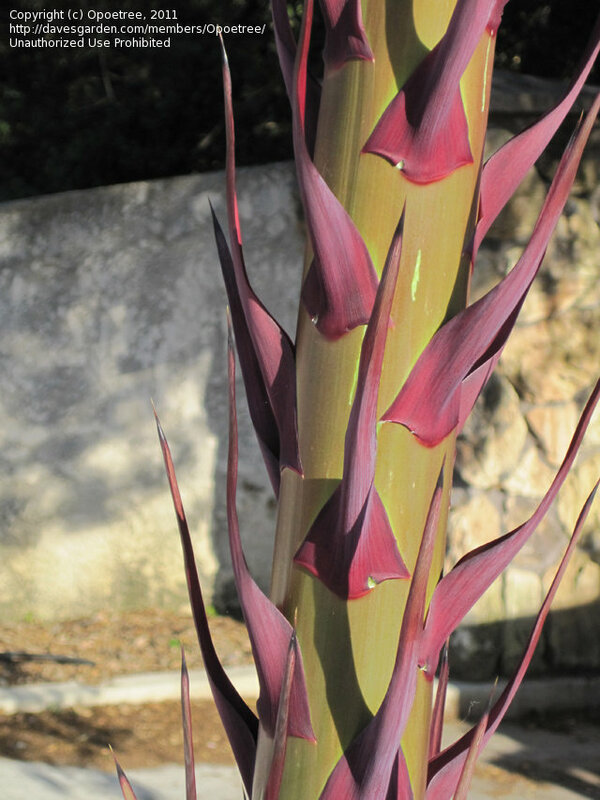 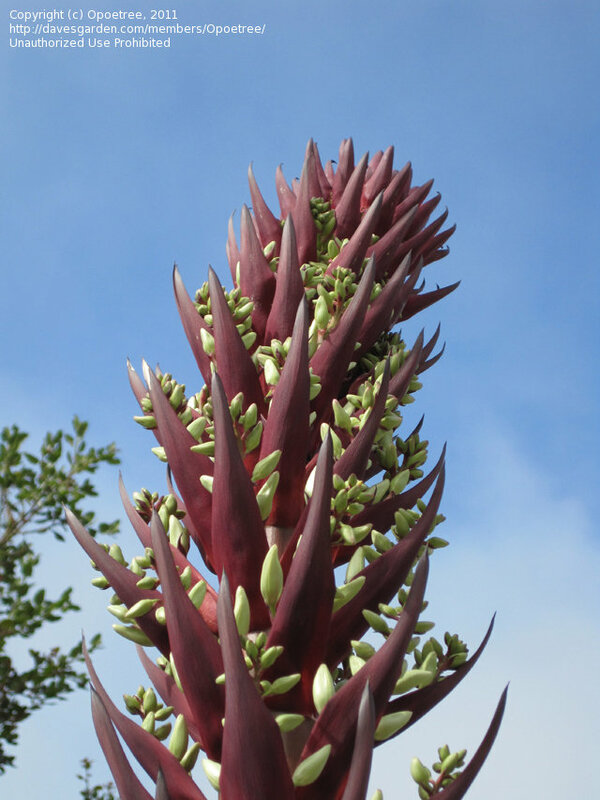 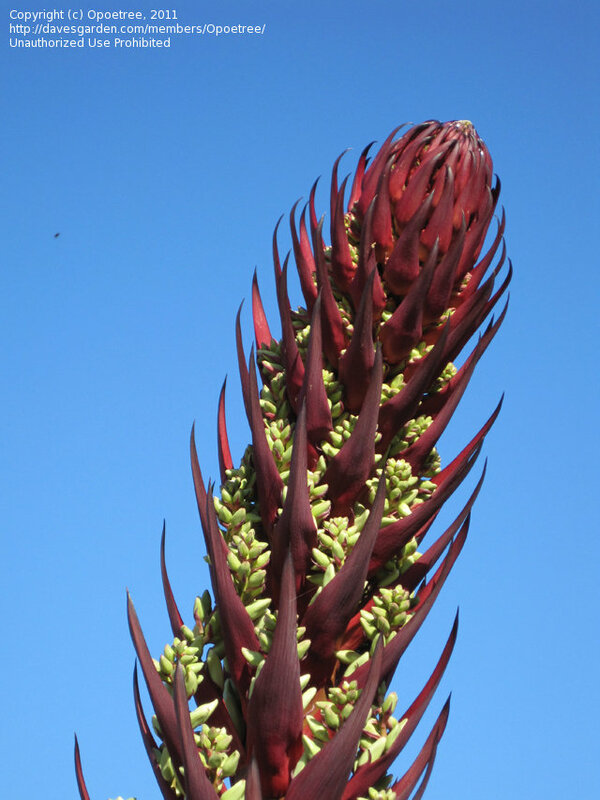 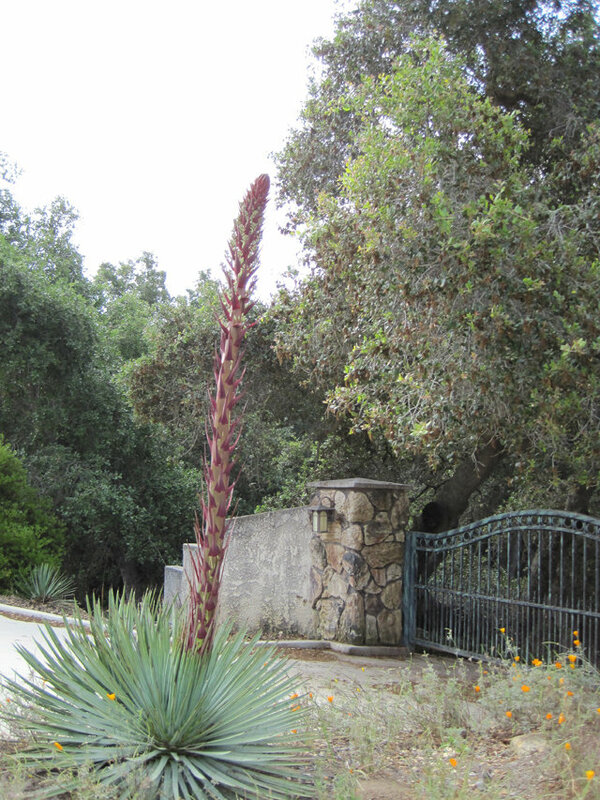 Yucca -- beginning to look like Jack's Beanstalk! 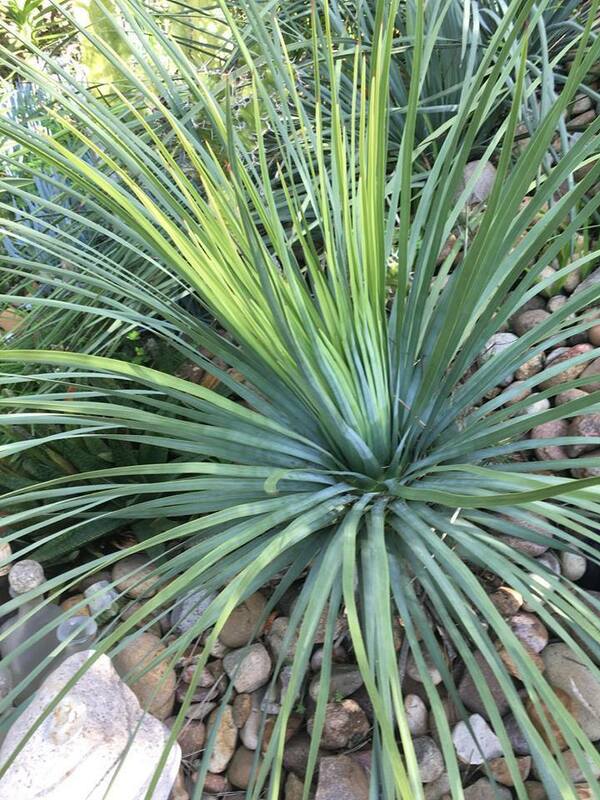 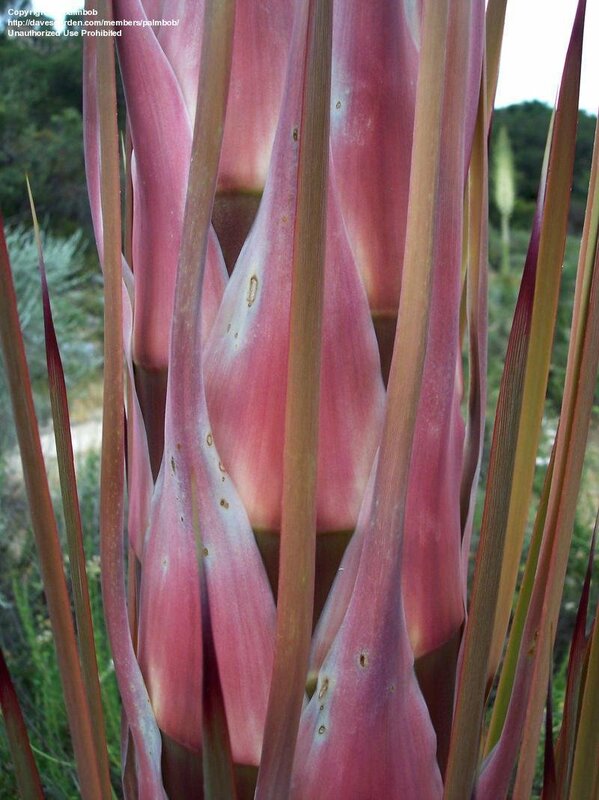 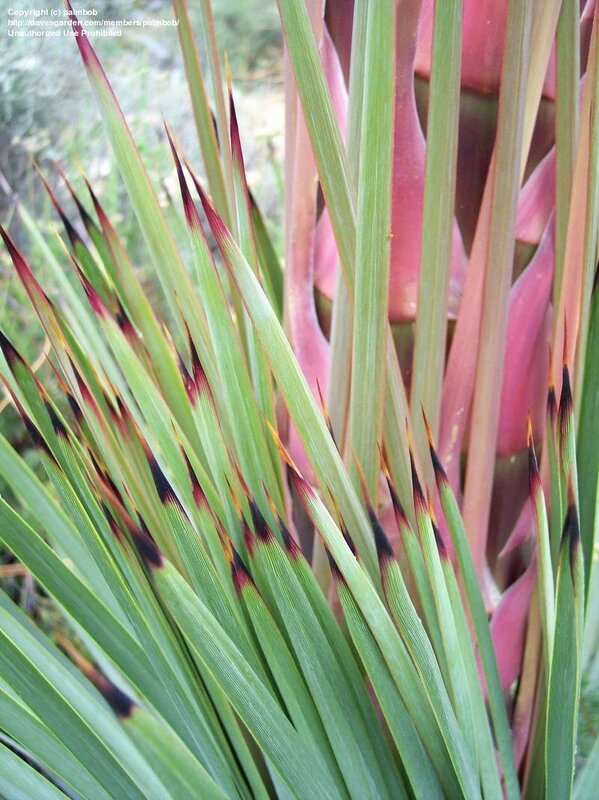 Yucca -- some of the loveliest contrast of colors imaginable! 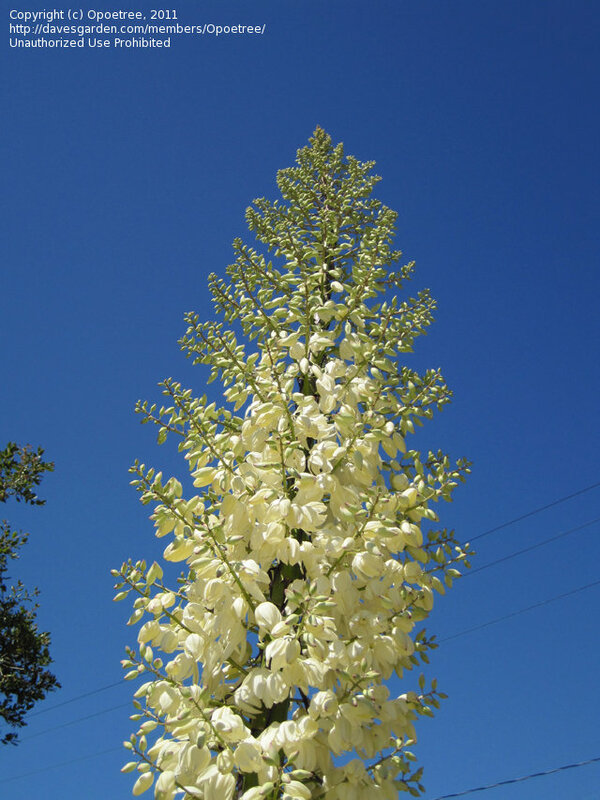 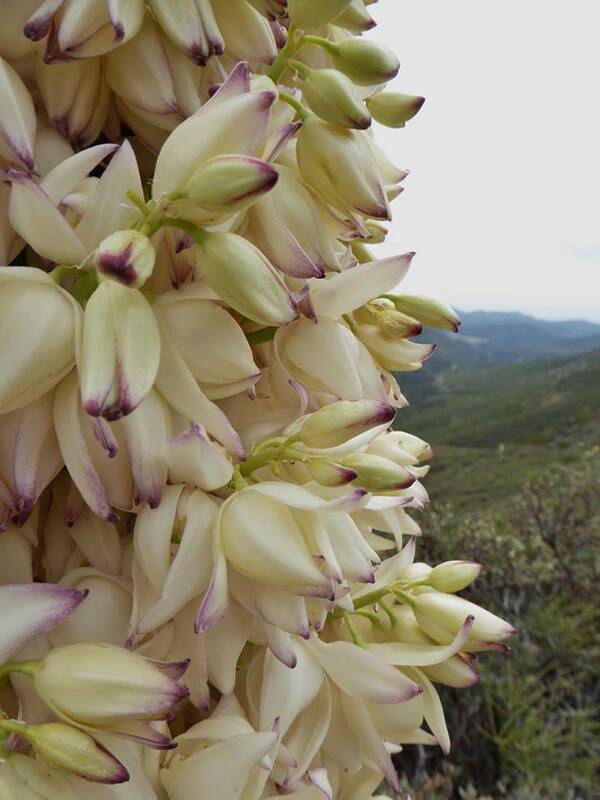 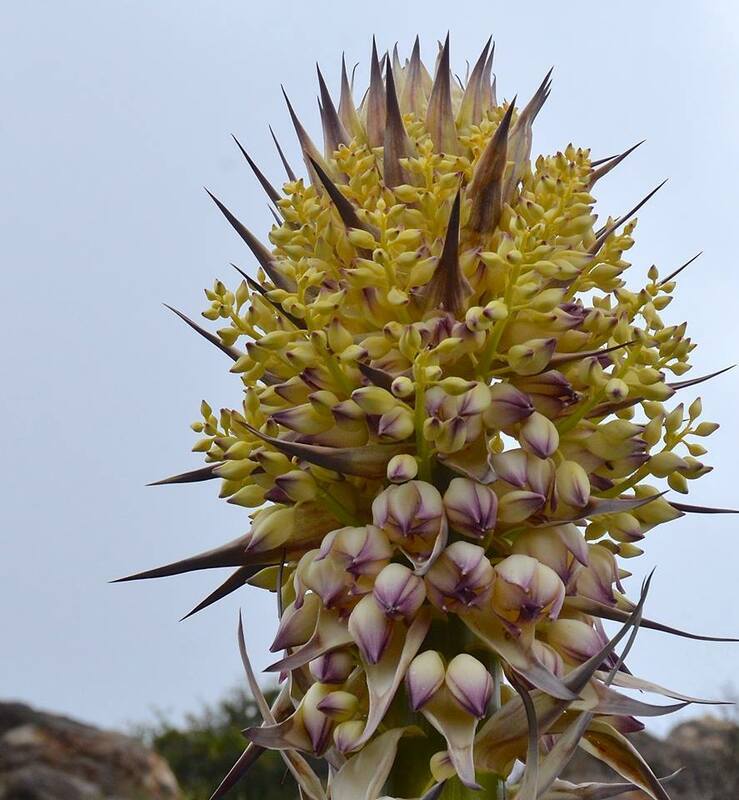 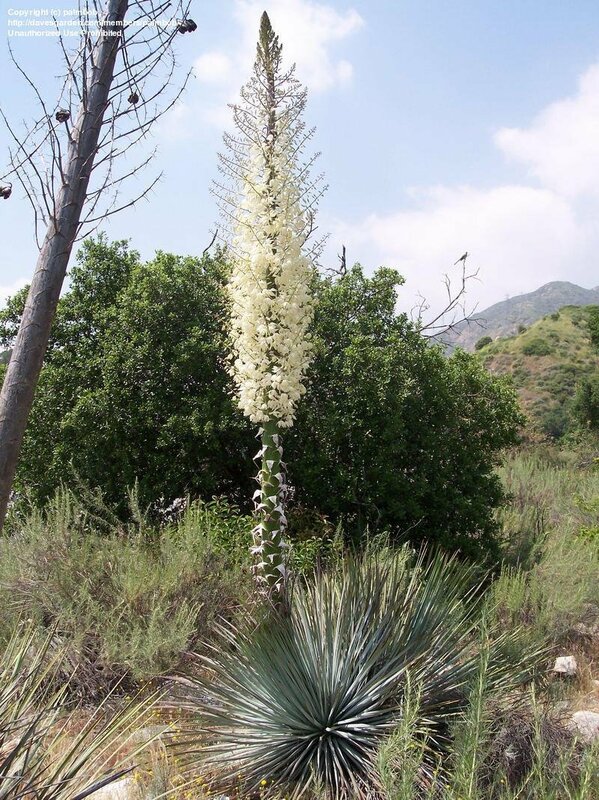 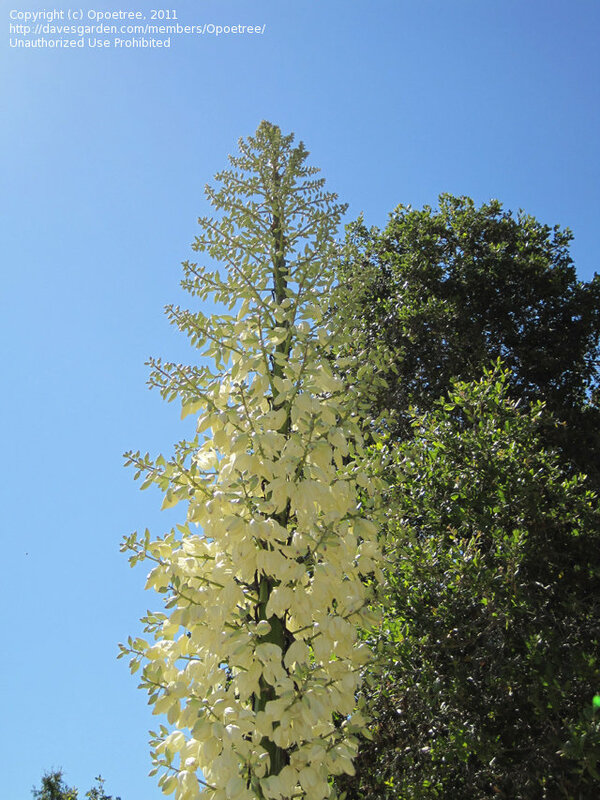 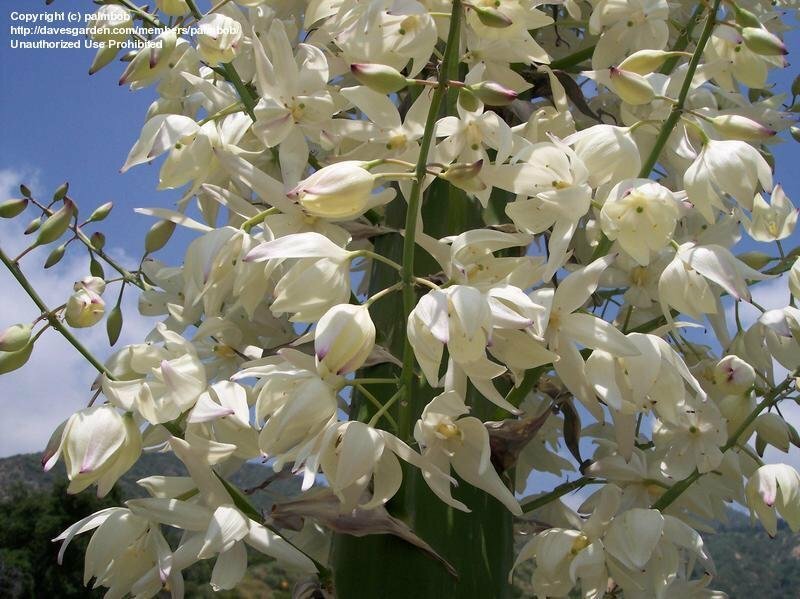 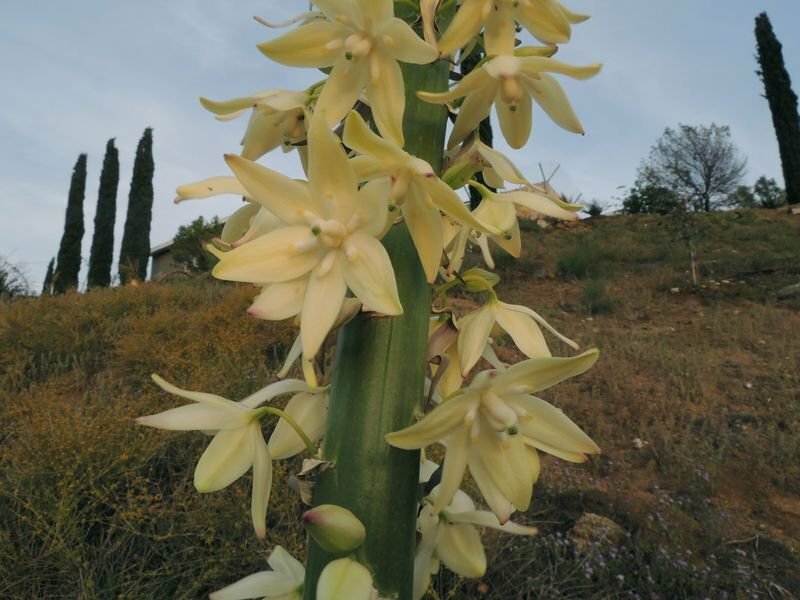 Yucca -- truly a lavish presentation of blossoms! 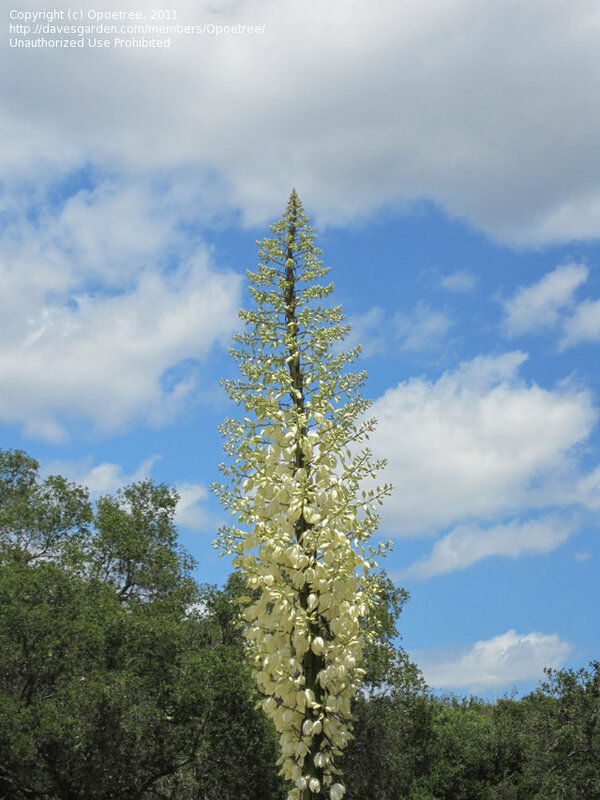 Yucca against a cloudy sky -- magnificent! 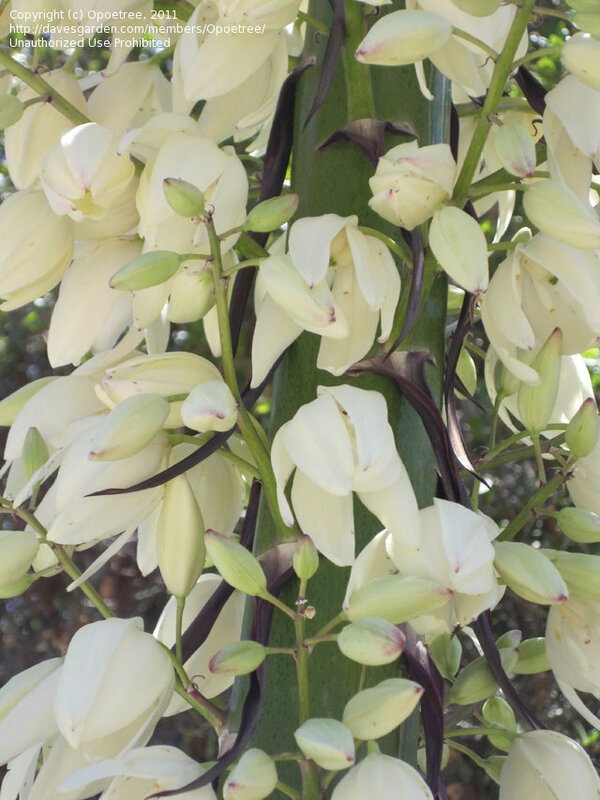 Yucca -- like a bride in all her glory! 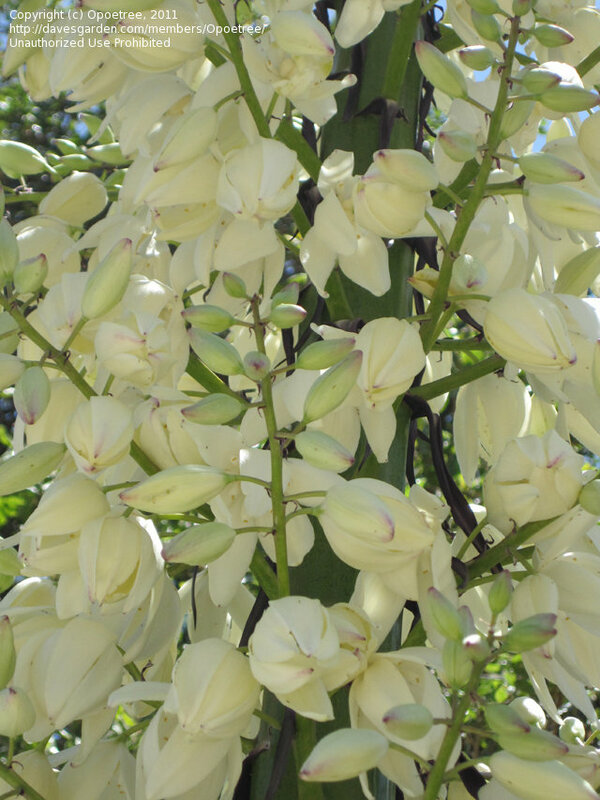 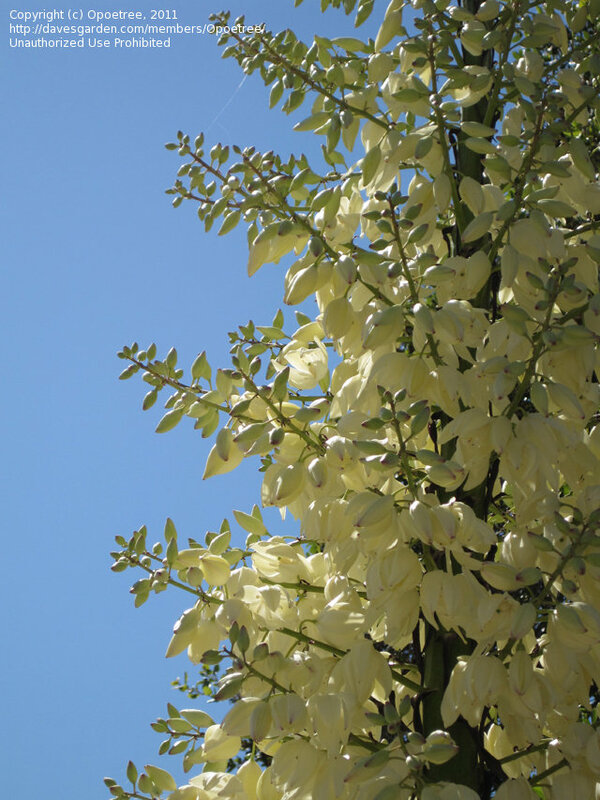 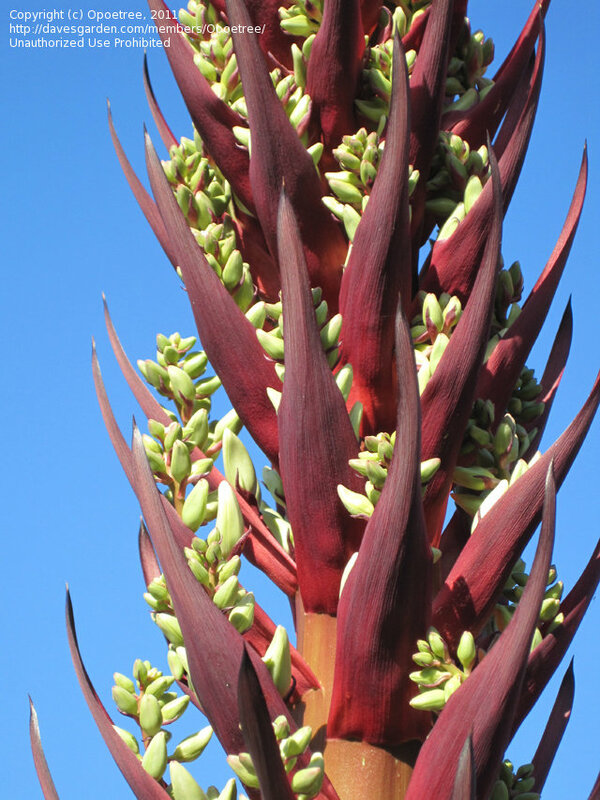 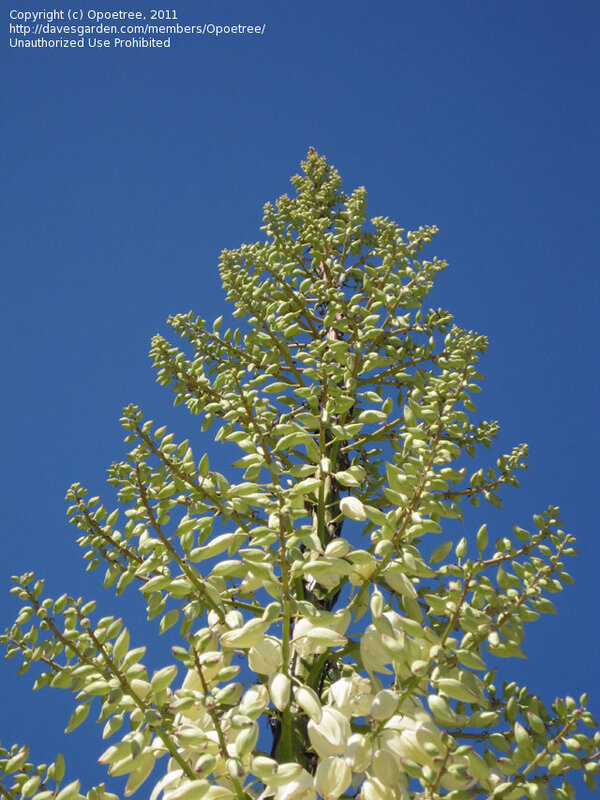 Yucca -- truly a candle to light up the sky! 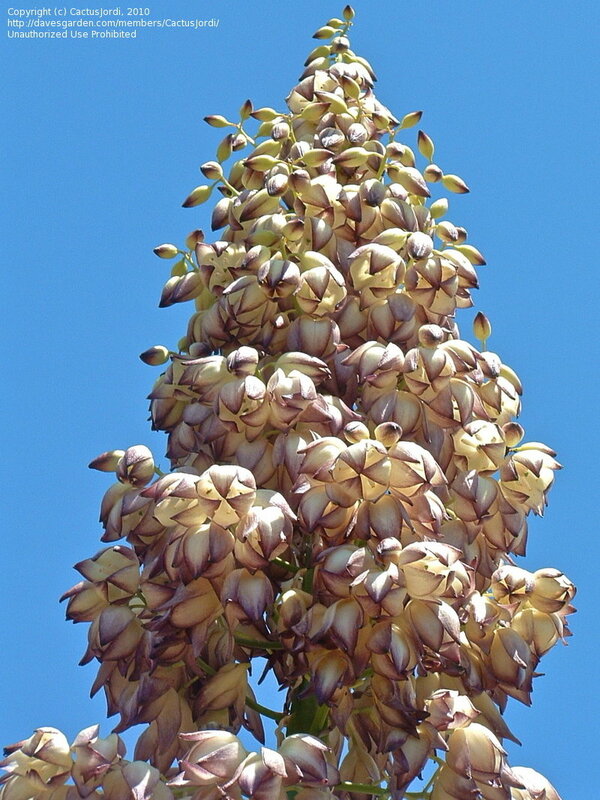 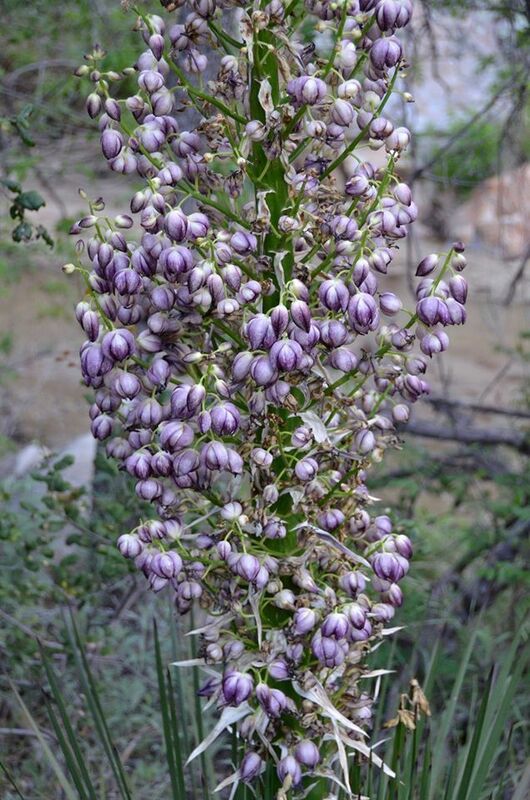 Yucca -- after the blossoms have all dropped and the seeds have formed. 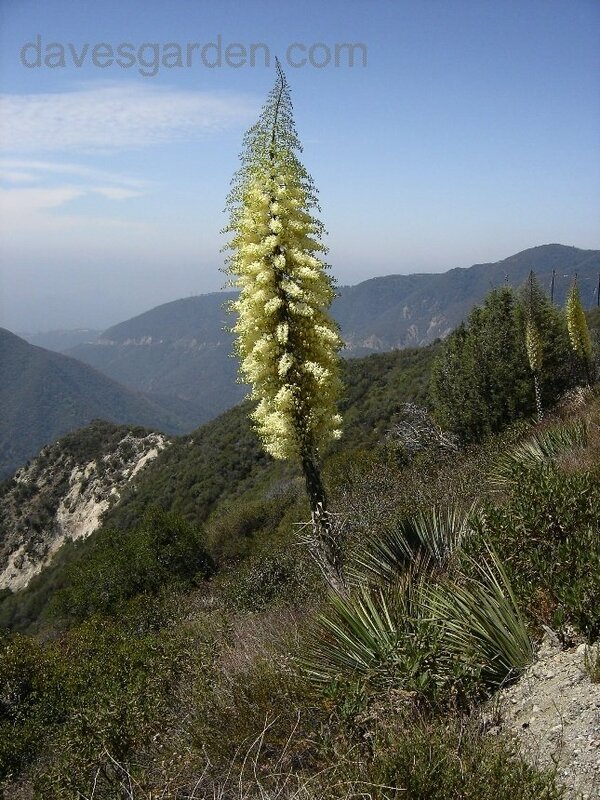 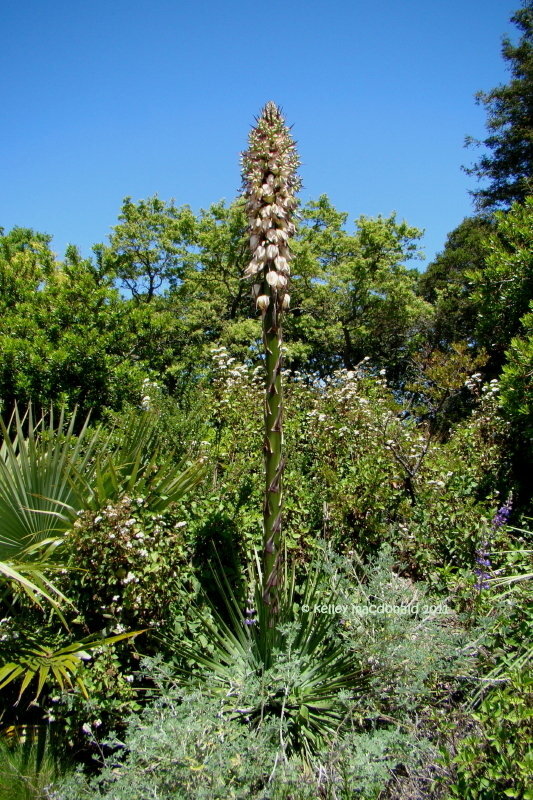 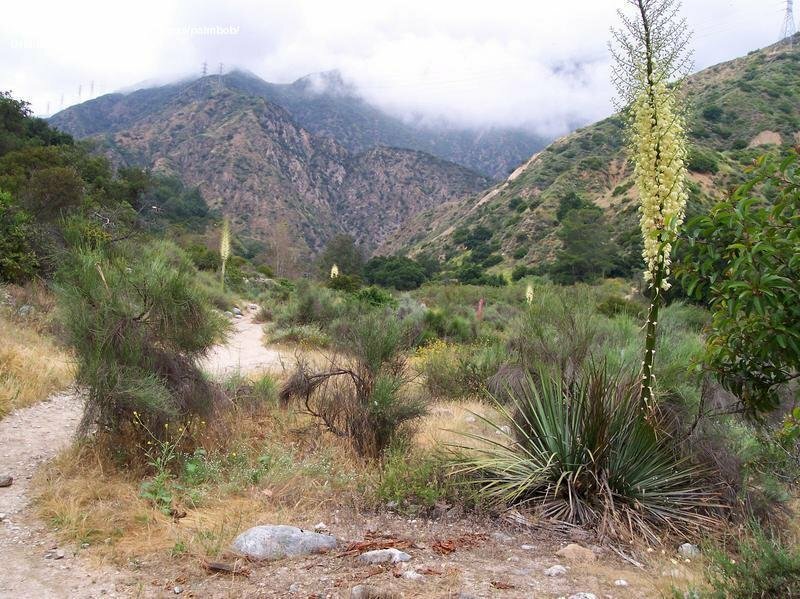 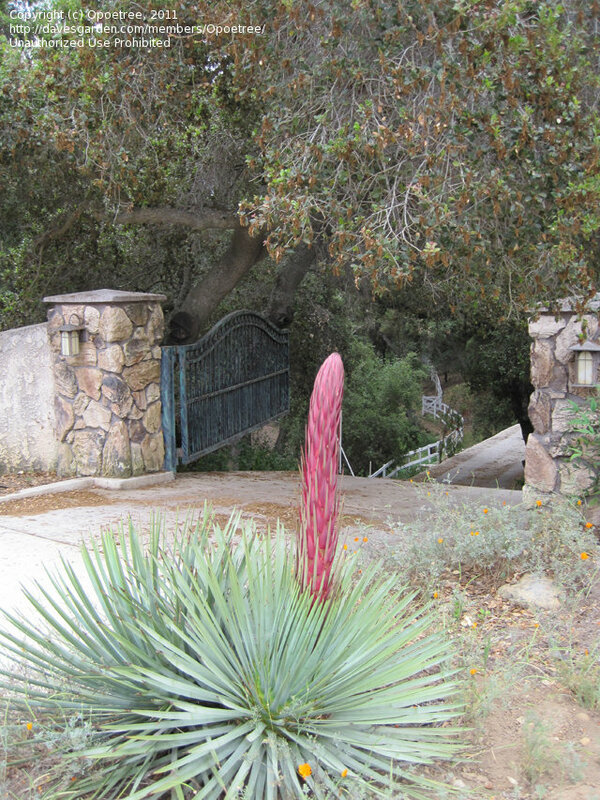 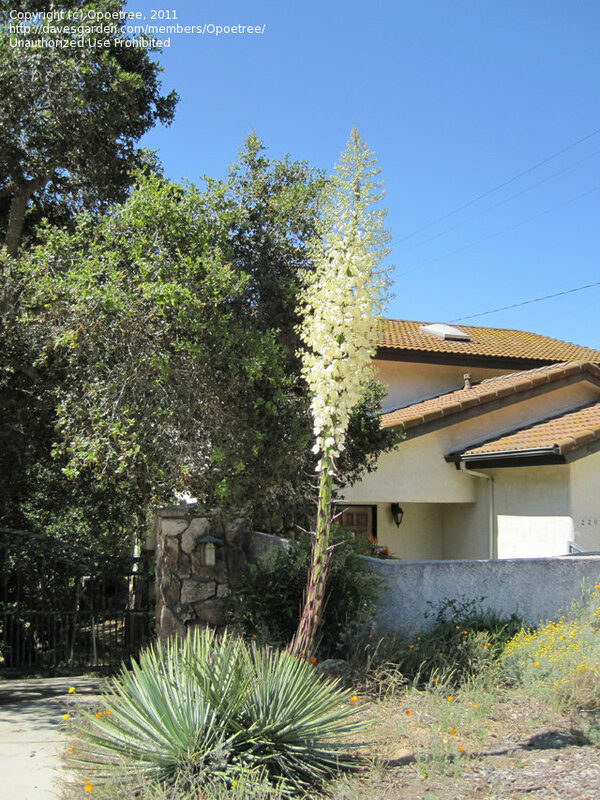 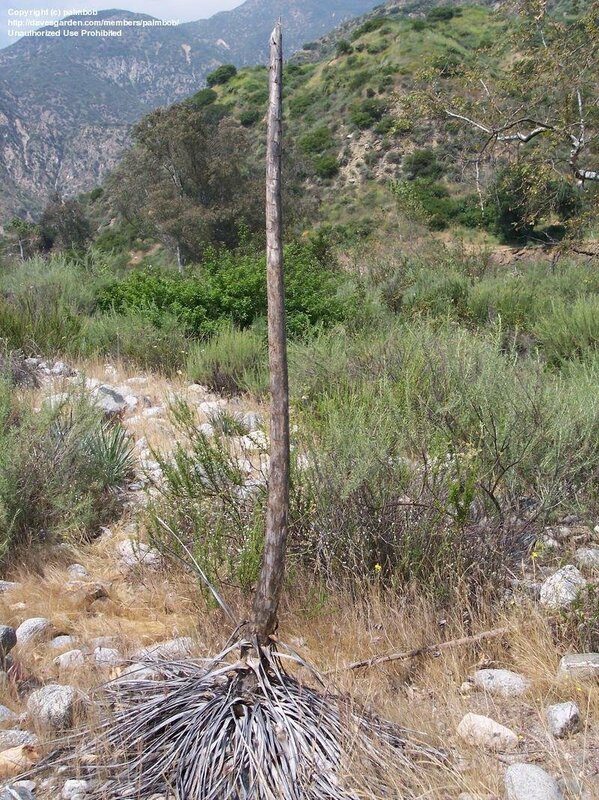 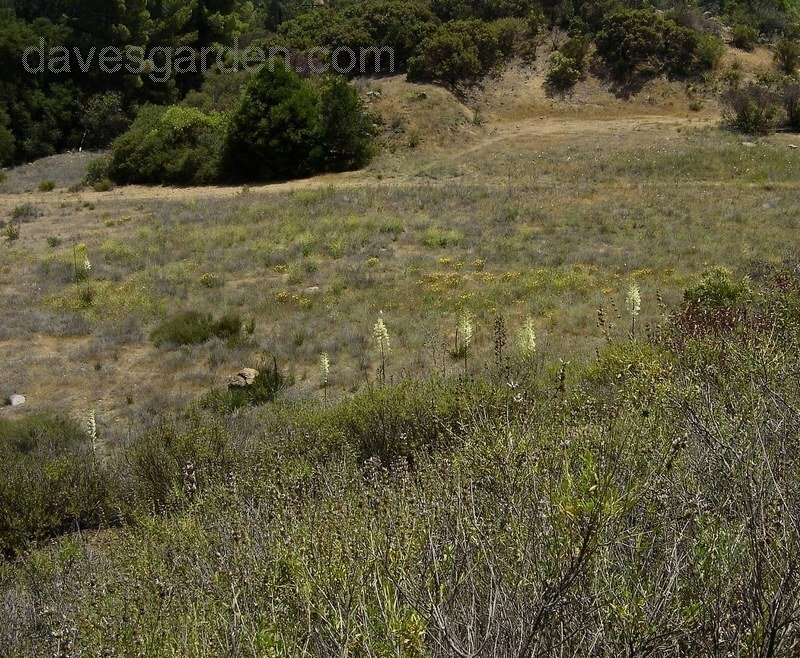 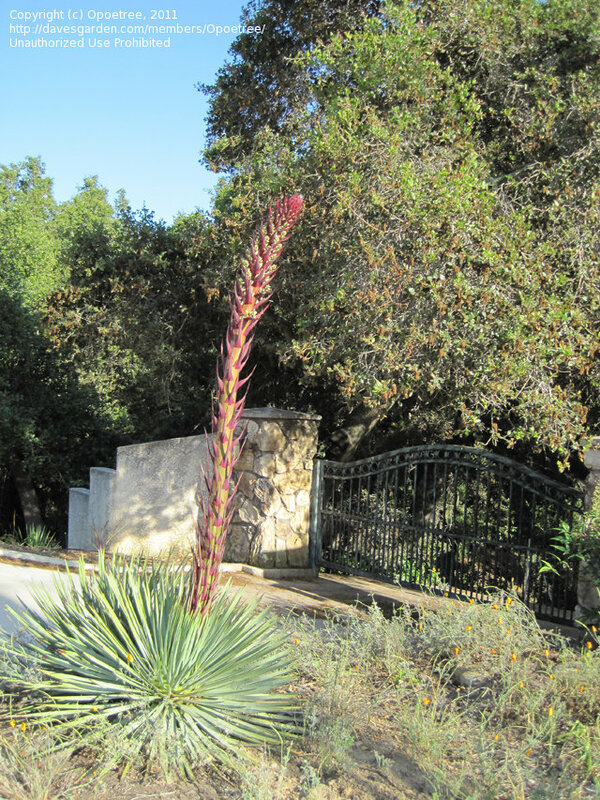 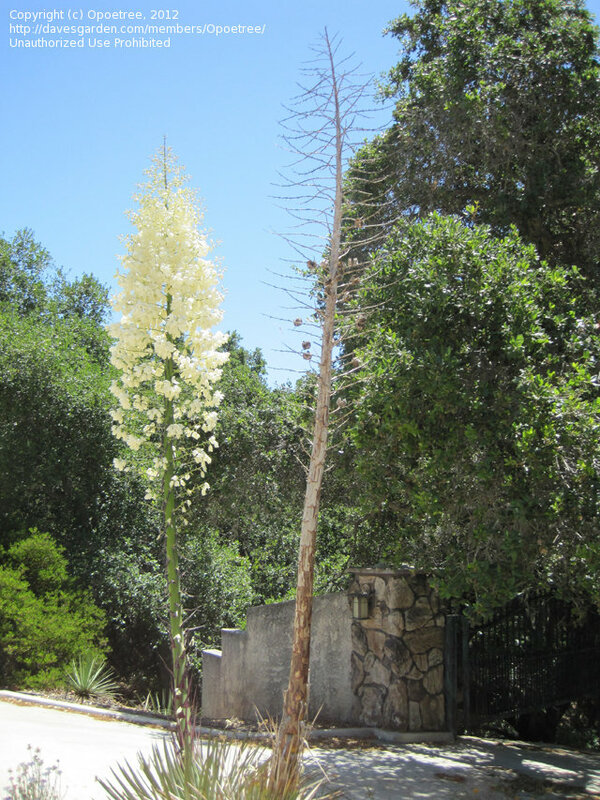 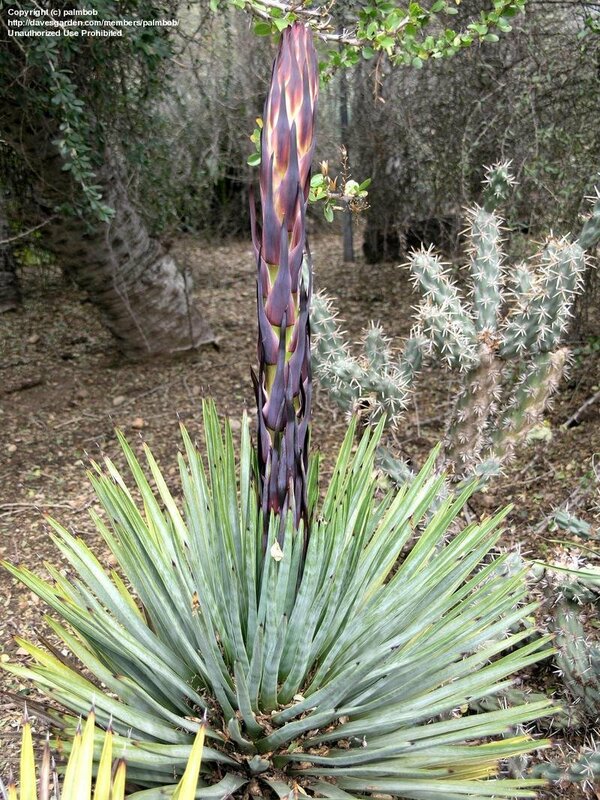 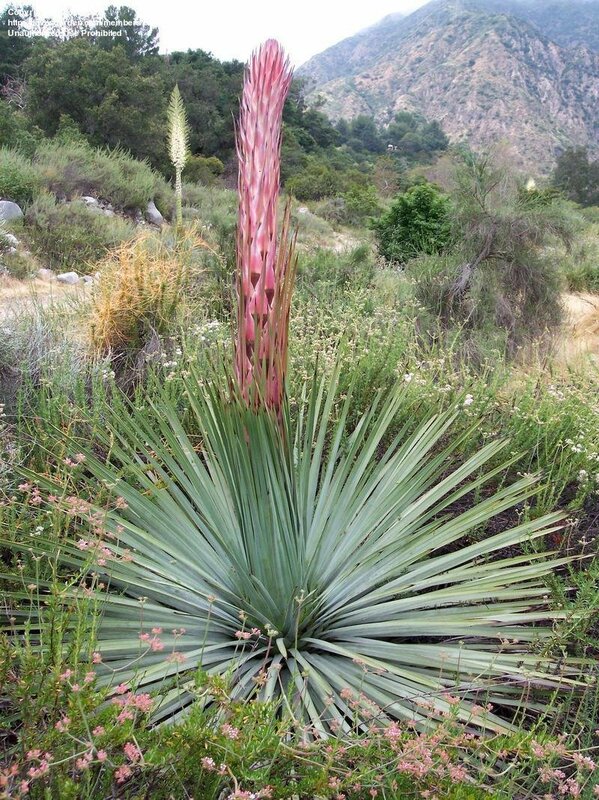 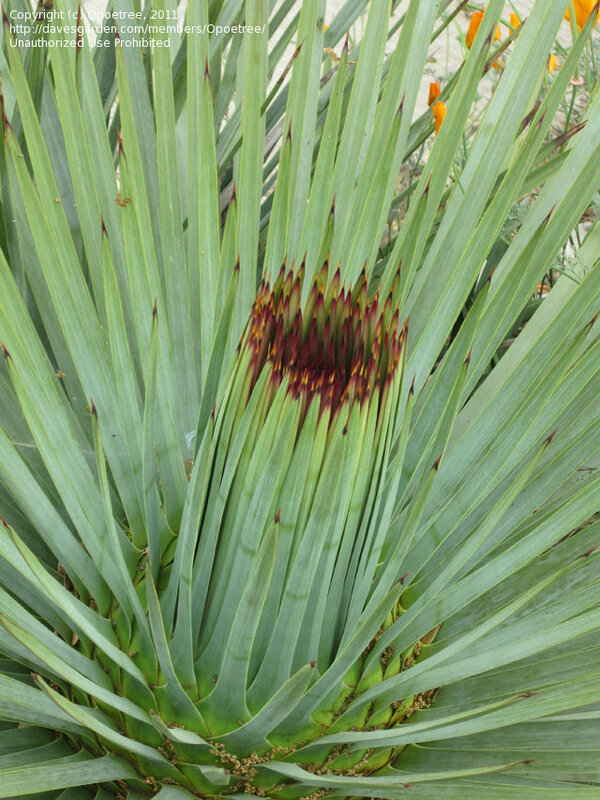 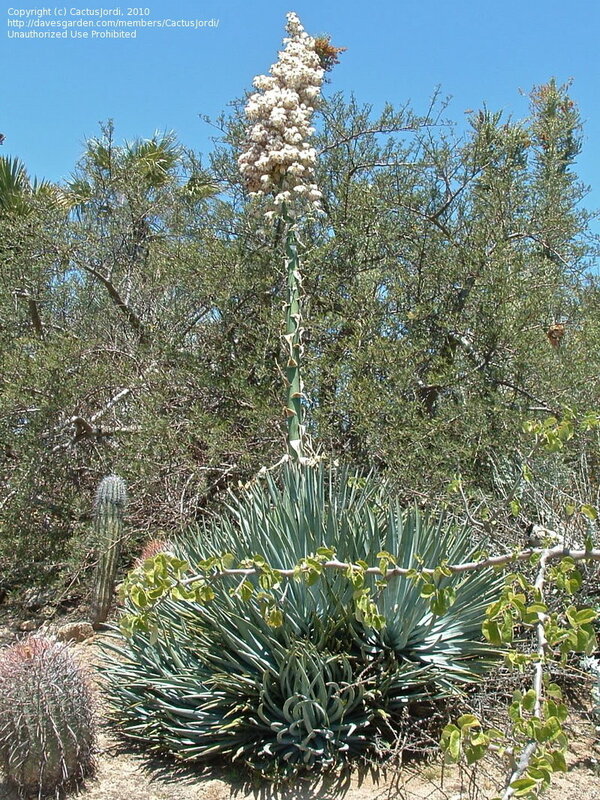 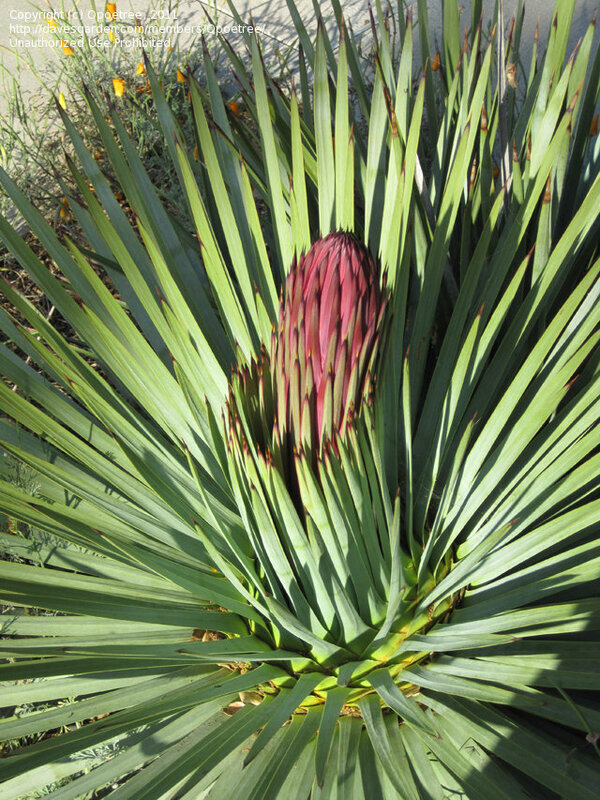 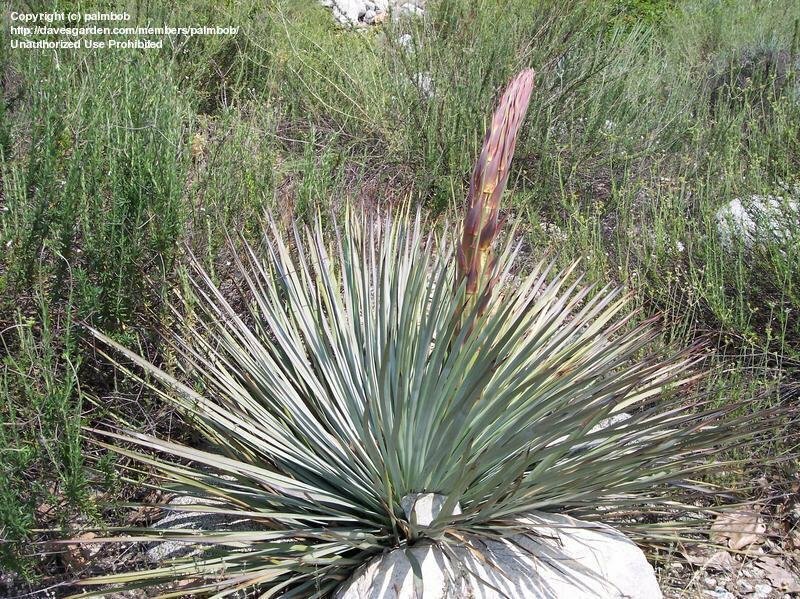 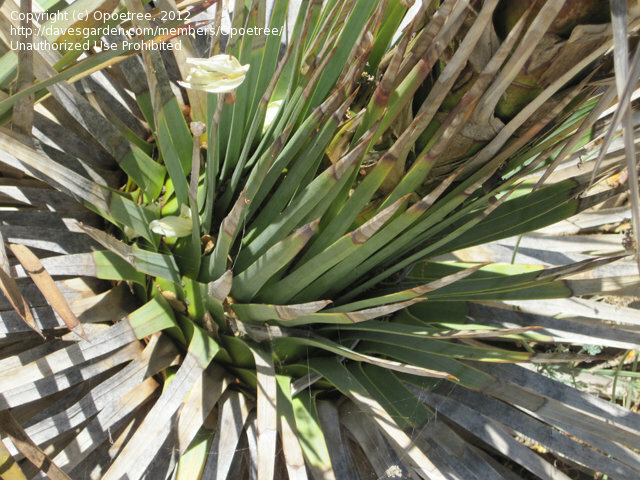 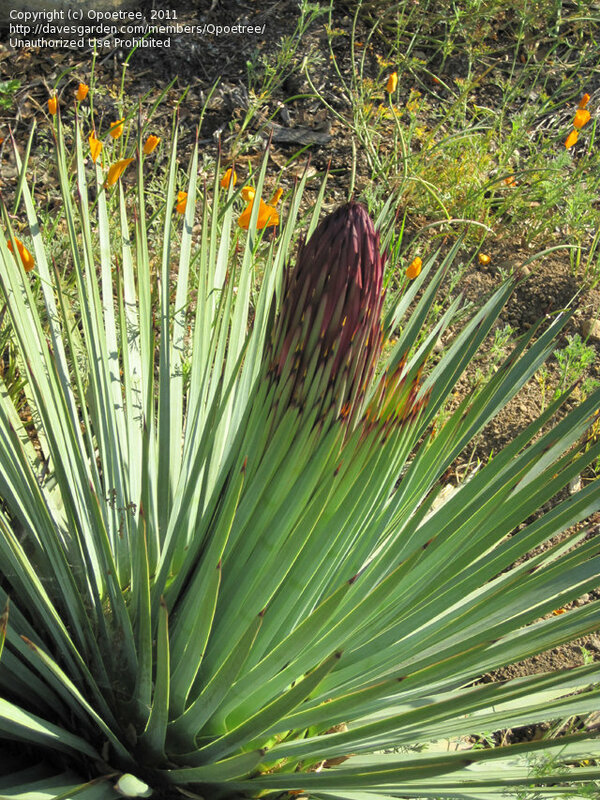 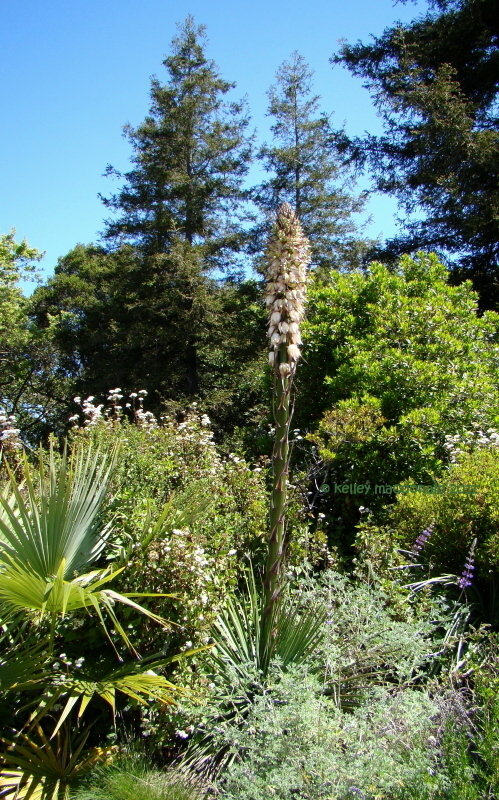 The yucca of 2011 is now dried -- but the stalk stem is still standing and a younger plant is now blooming. 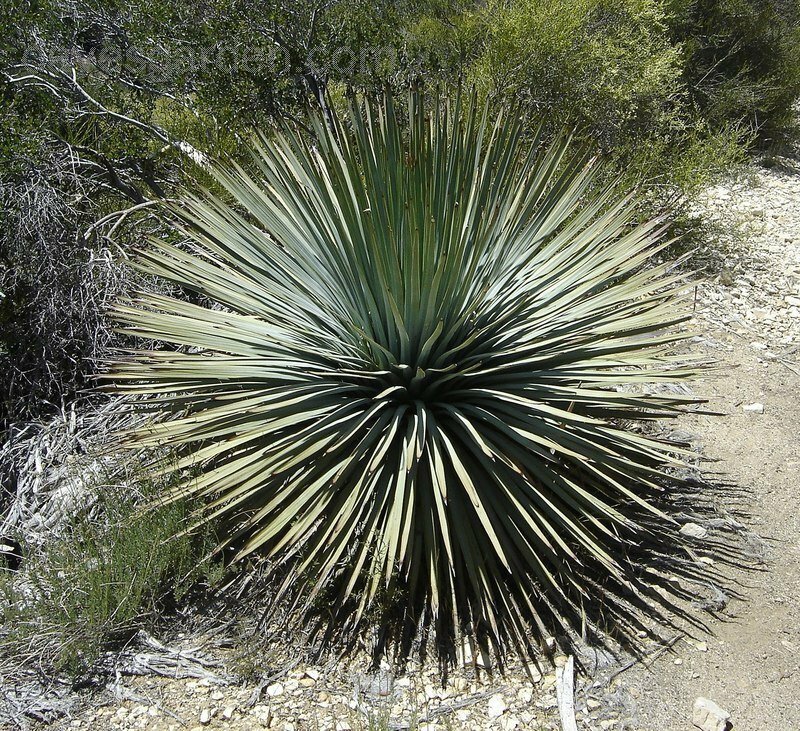 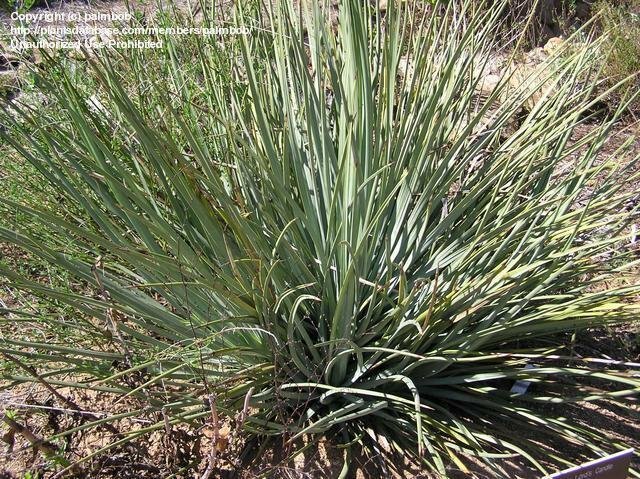 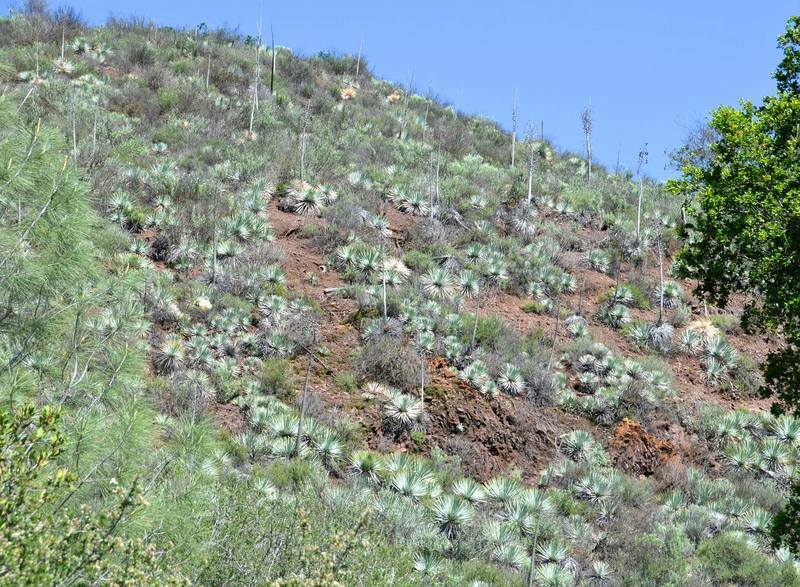 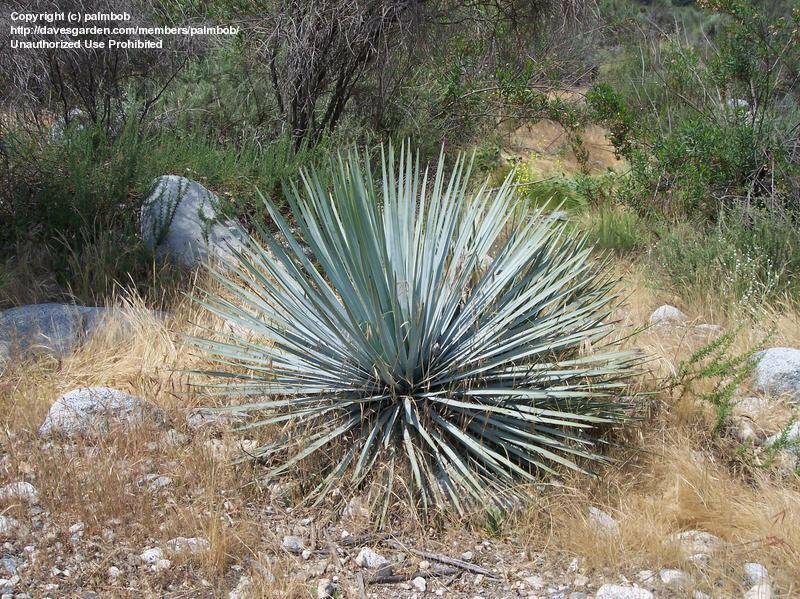 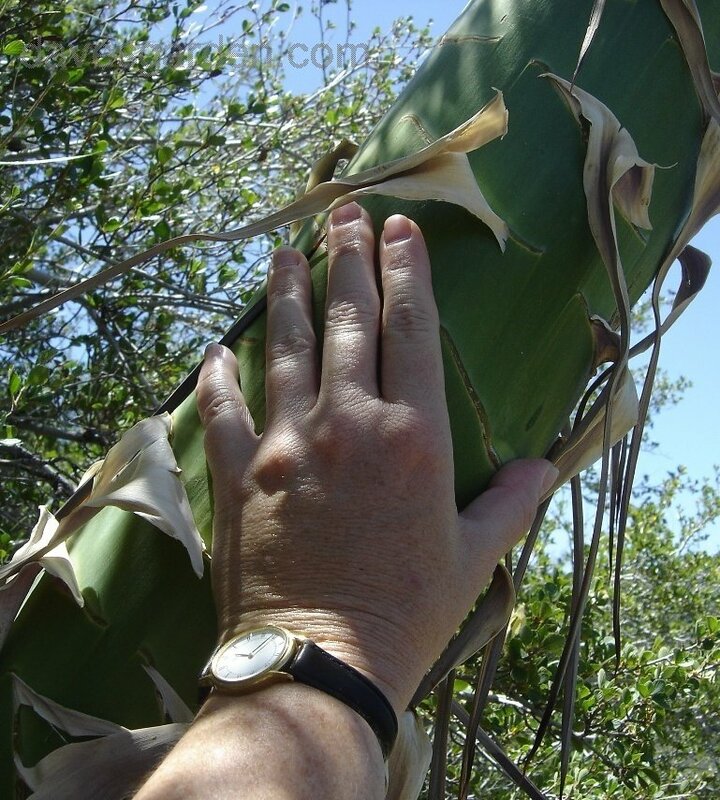 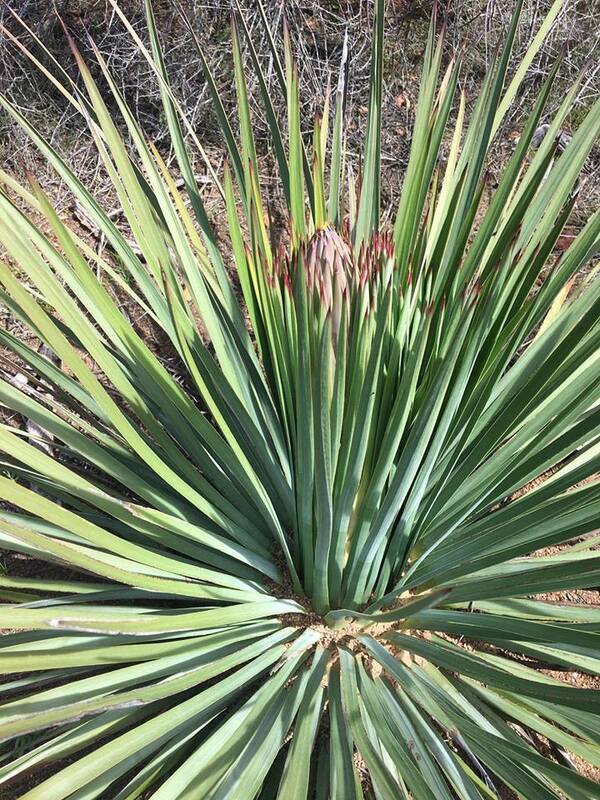 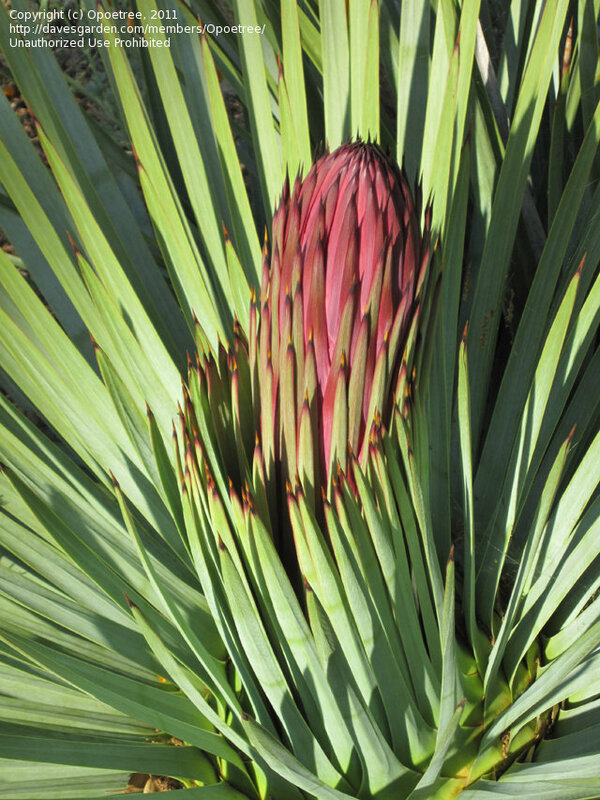 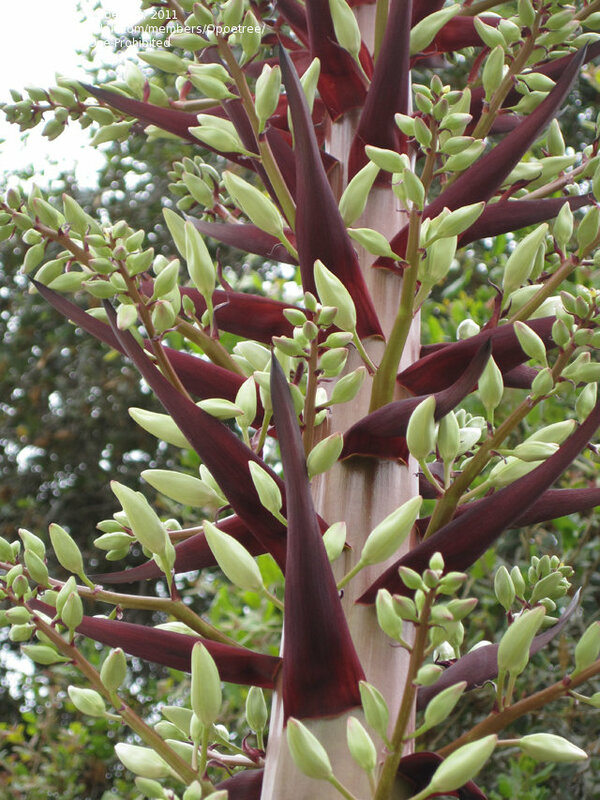 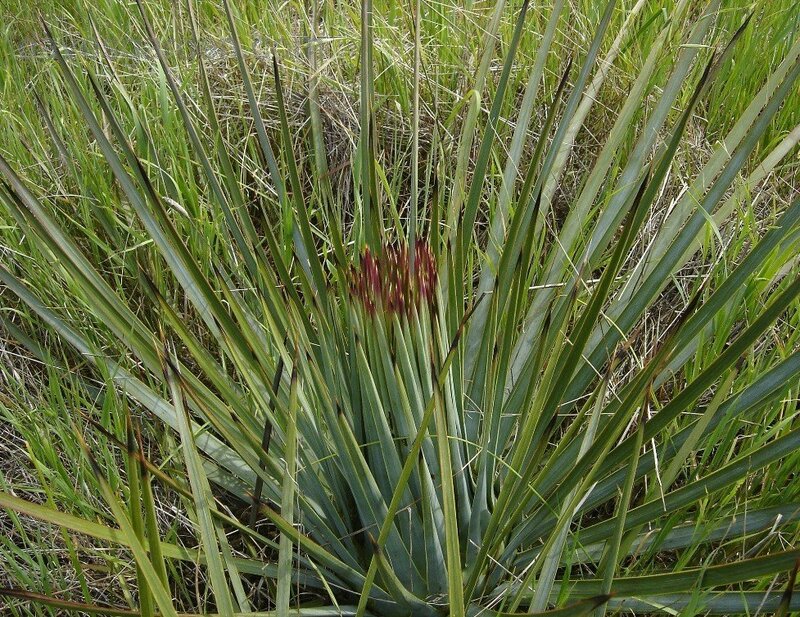 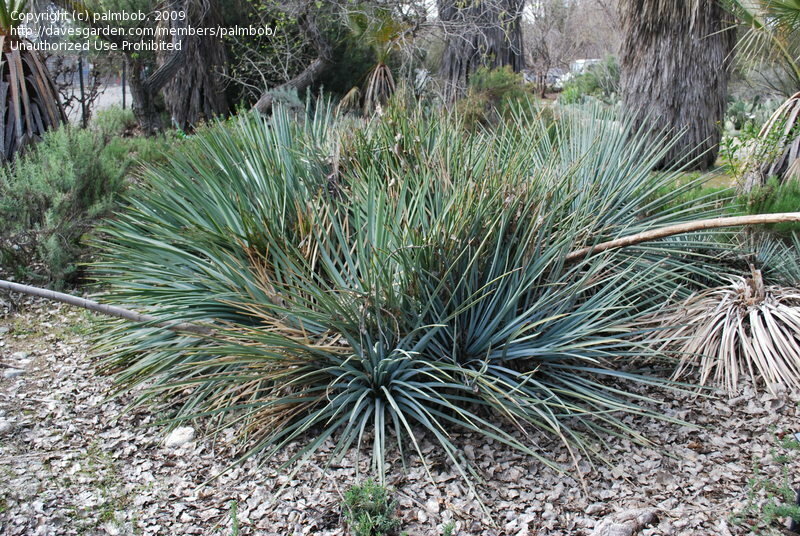 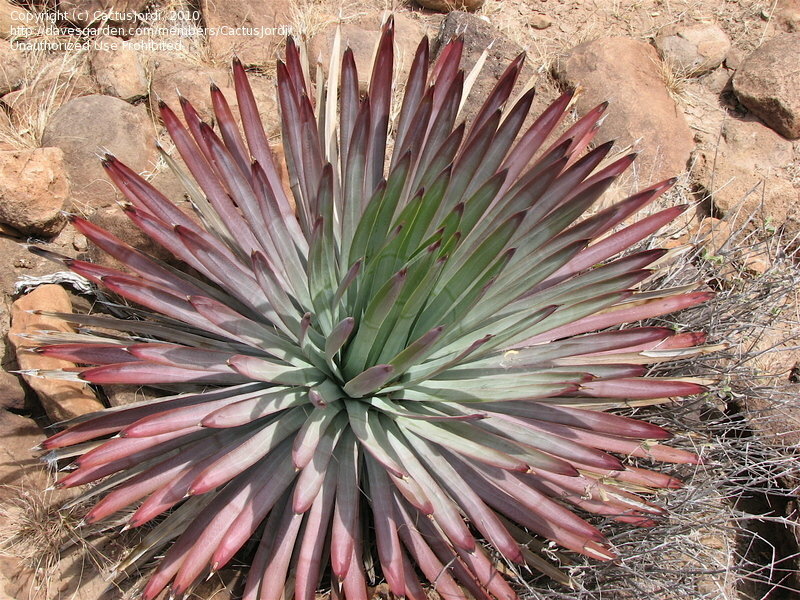 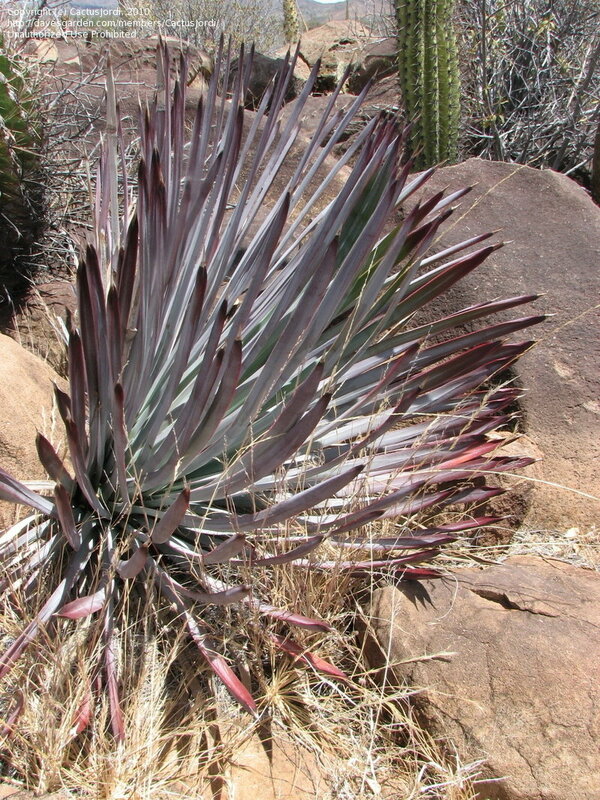 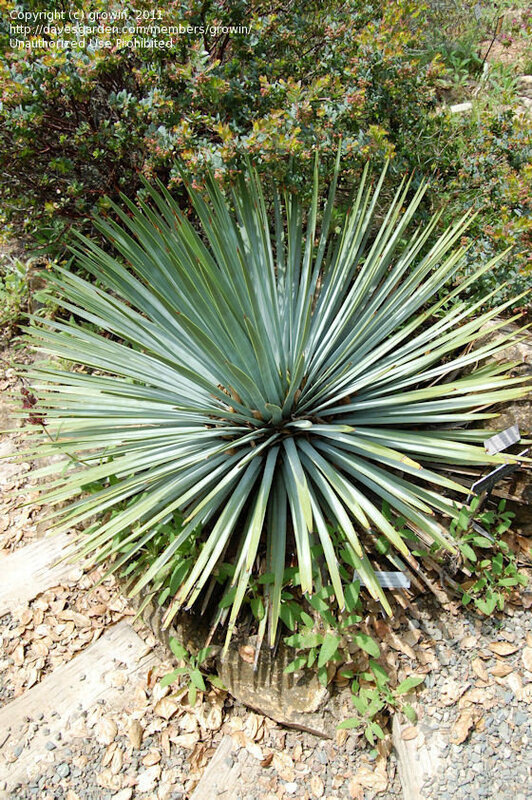 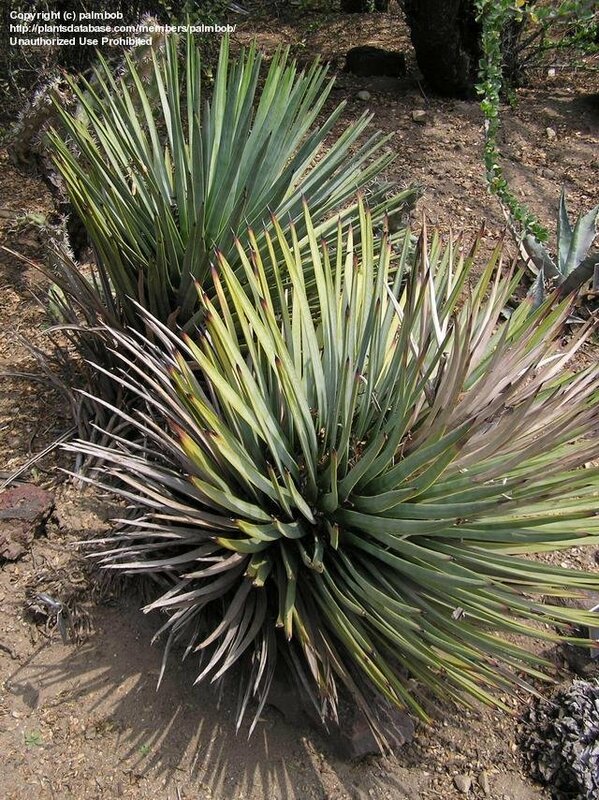 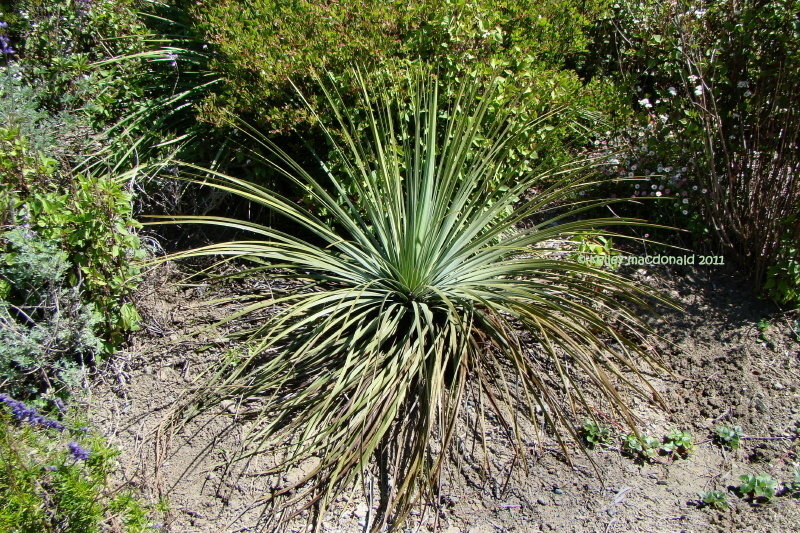 The base of the 2011 yucca -- still has a lot of green, although the stalk stem is dry. 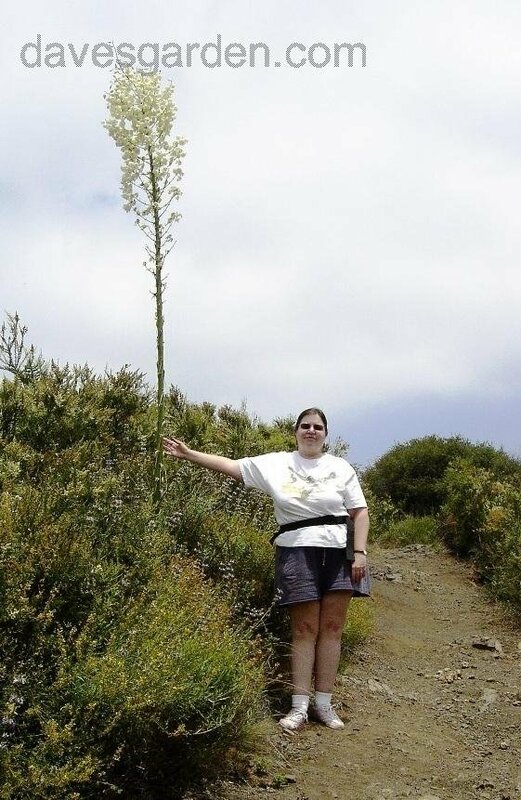 A hill of them! 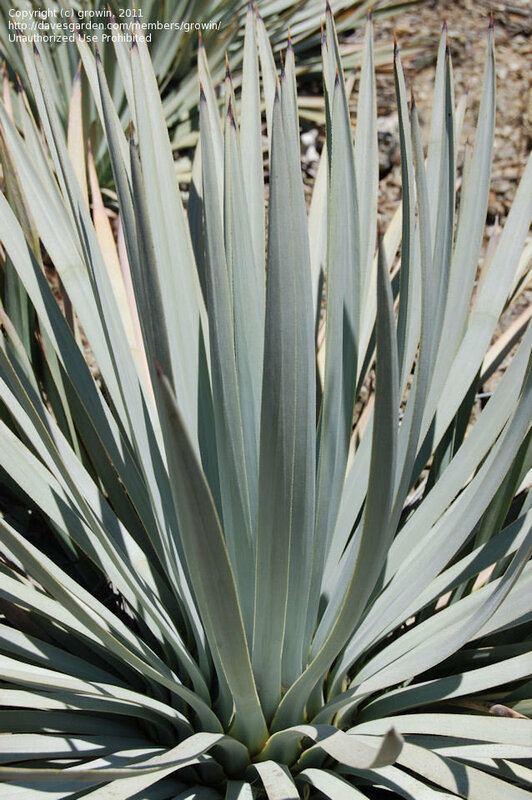 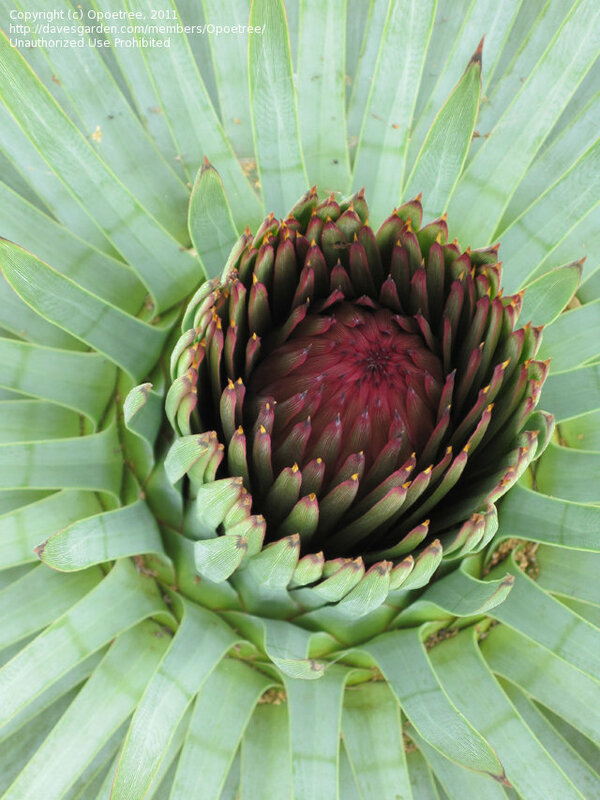 Copyright Jeremy Spath, of Water's Path Landscape Design and Curator at Rancho Soledad Nursery. 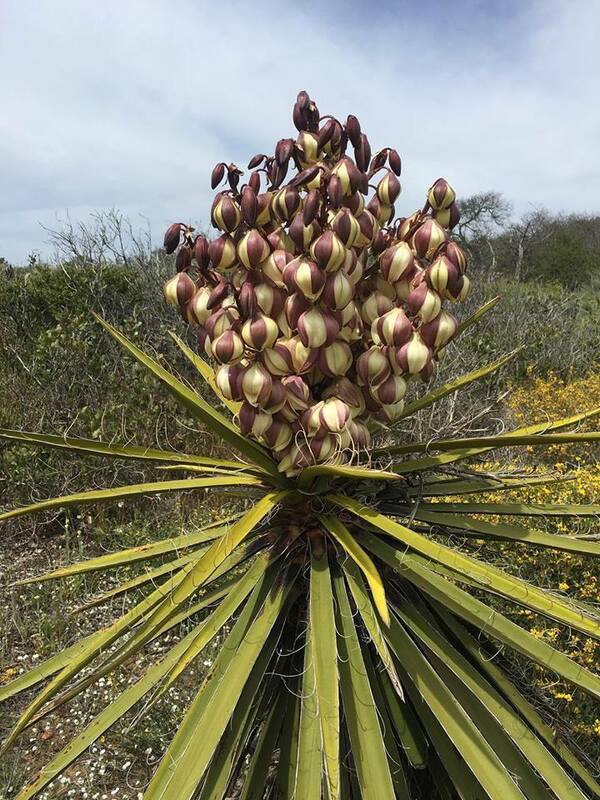 From Encinitas, CA. 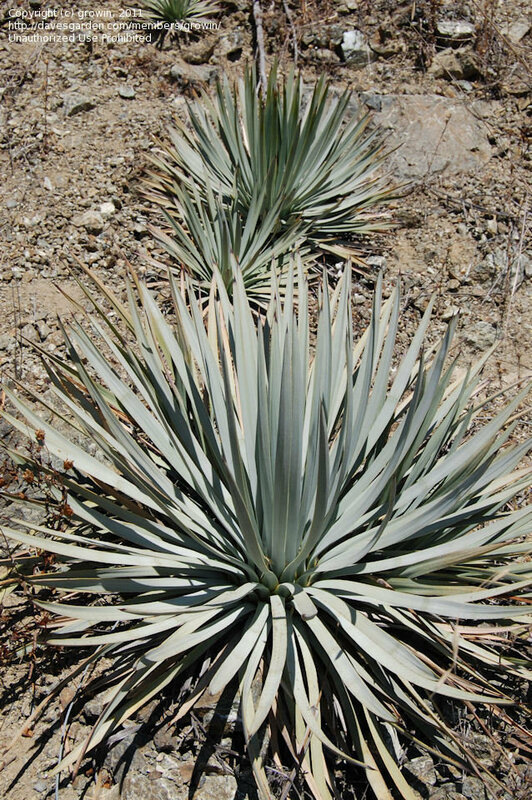 Copyright Jeremy Spath, of Spath Gardens, for landscape design and installation in Southern Ca. 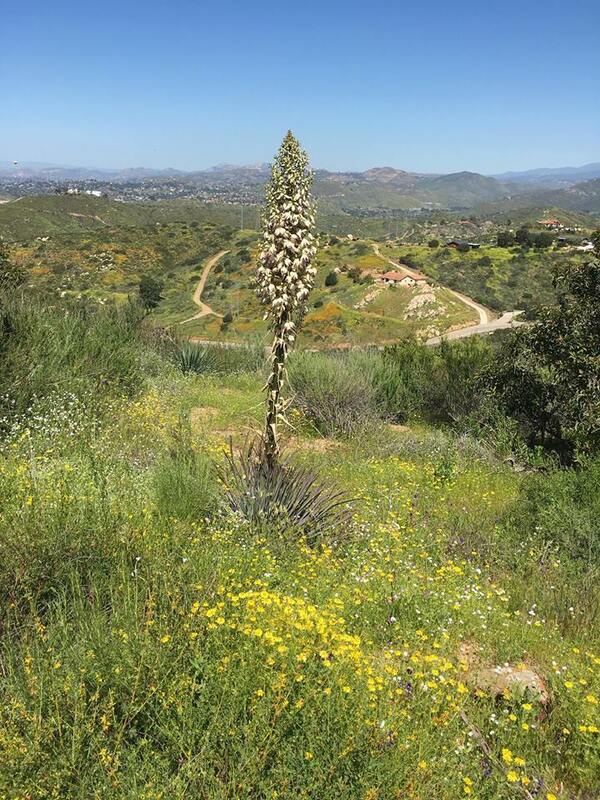 Central San Diego County. 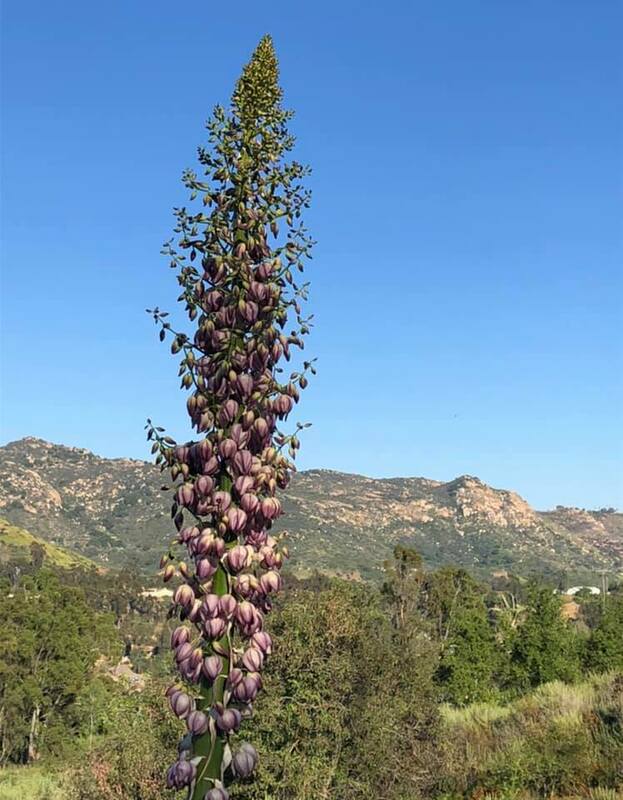 Photo courtesy of Ken Blackford. 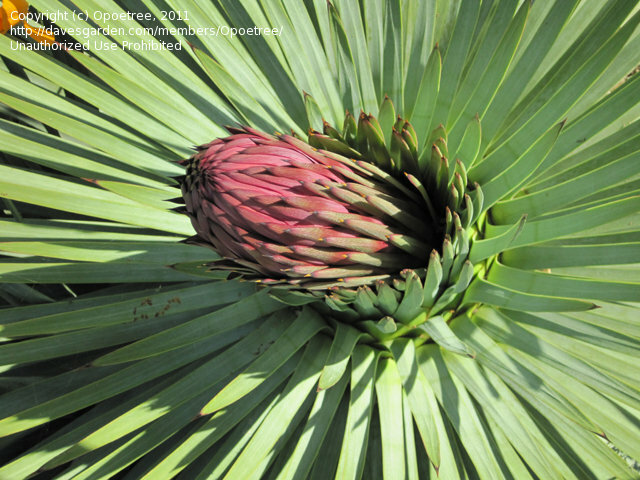 Copyright Ken Blackford. 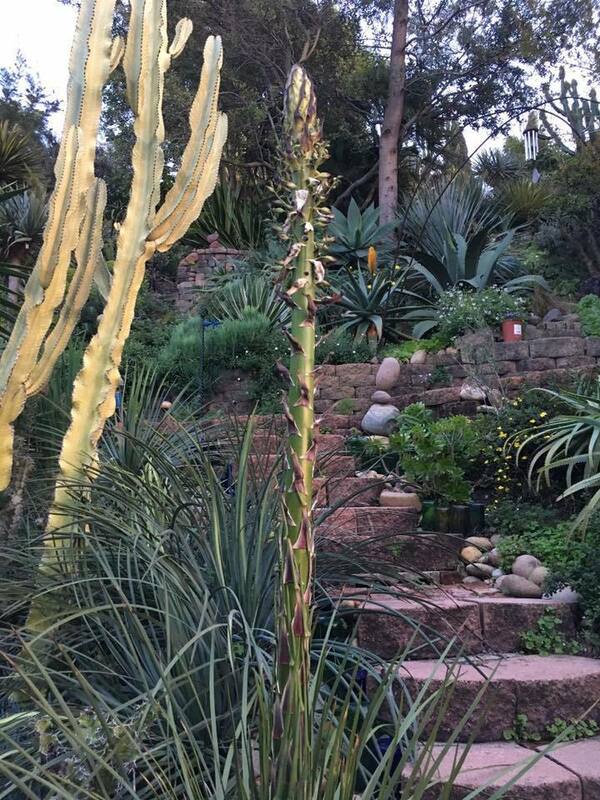 San Diego, Ca. 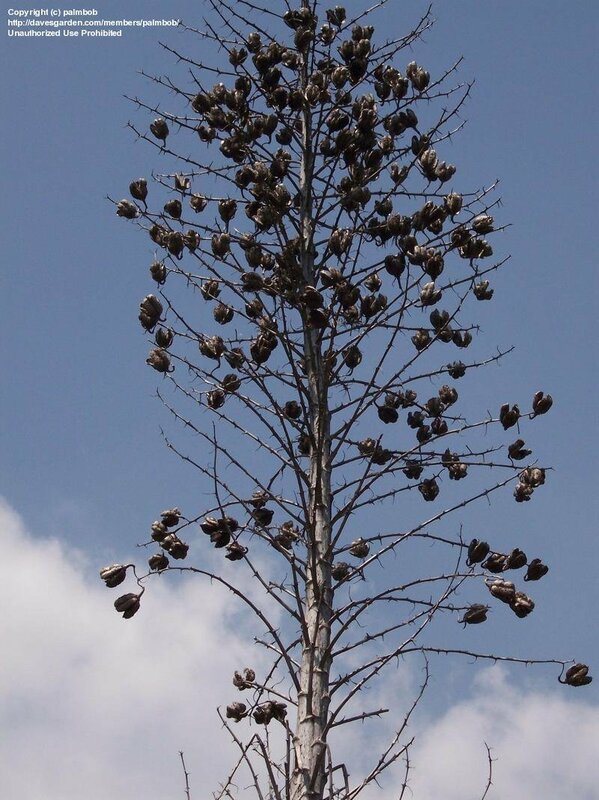 Skeletal bloom remains. 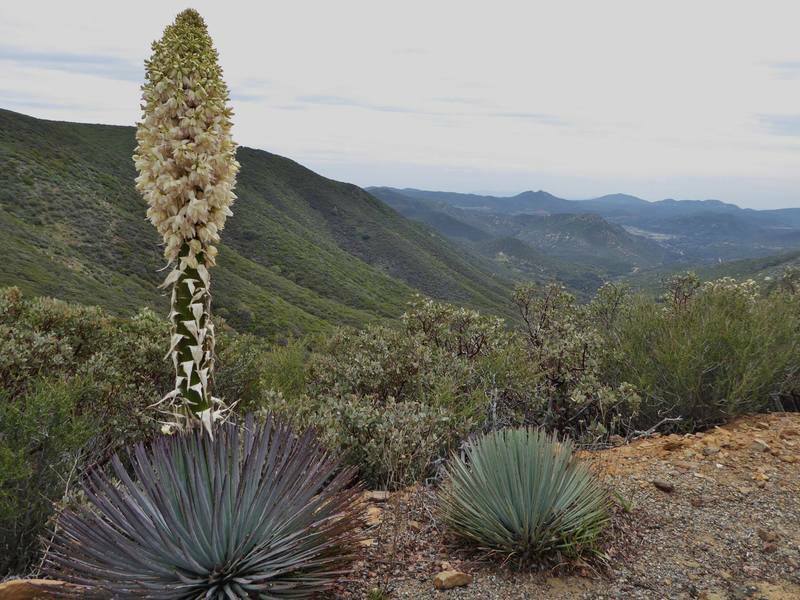 Central San Diego County. 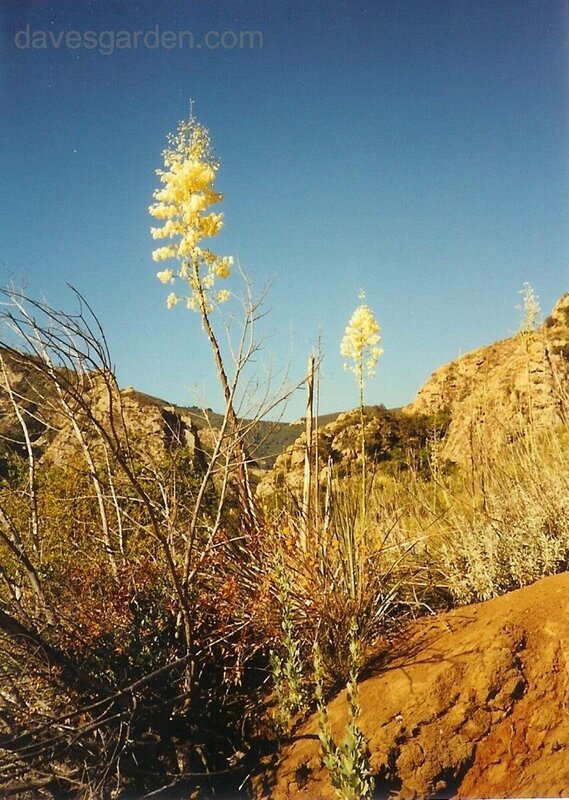 Copyright Ken Blackford. 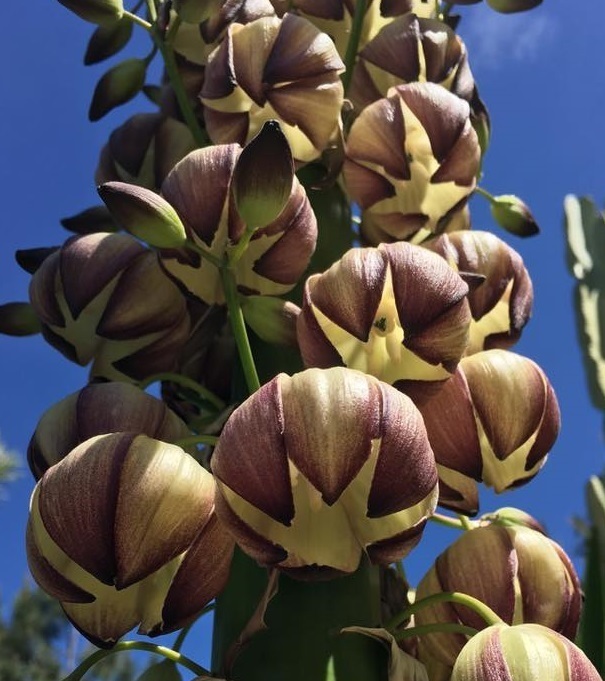 San Diego, Ca. 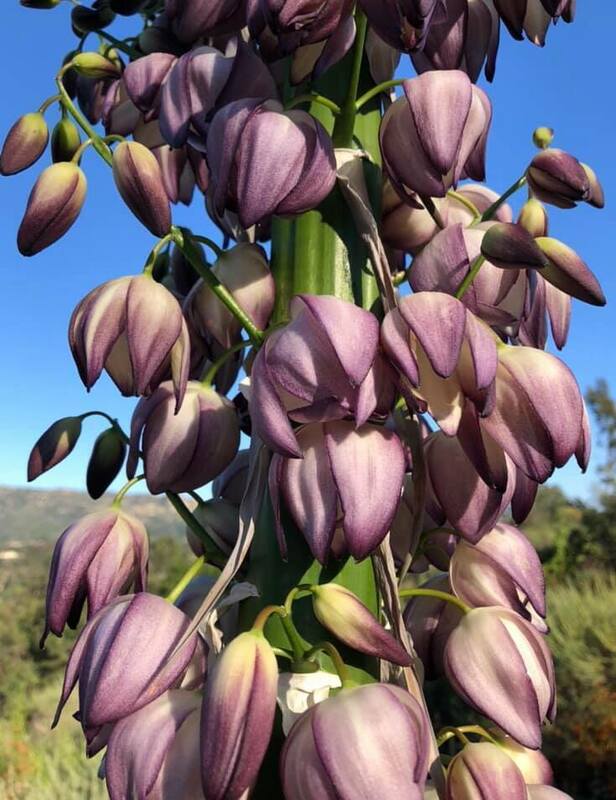 A very purple one! 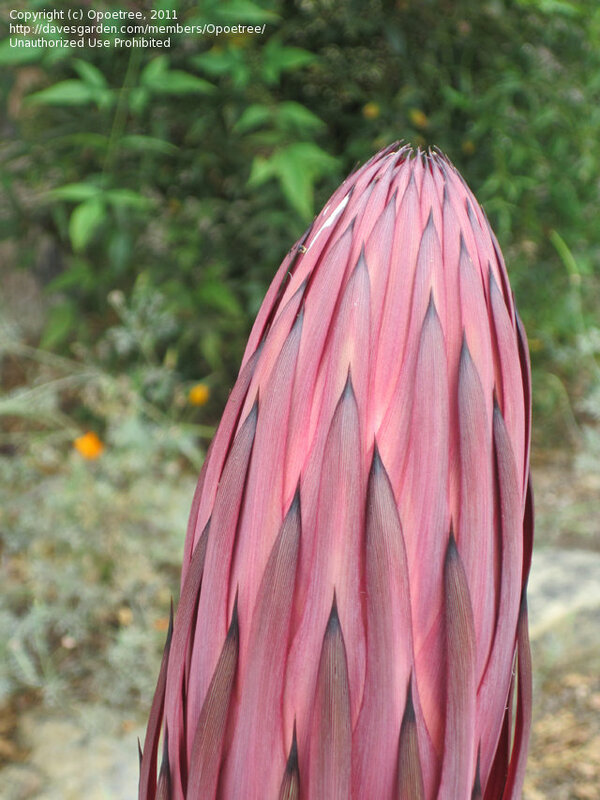 Copyright Jeremy Spath, owner at Water's Path Landscape Design and Curator at Rancho Soledad Nursery. 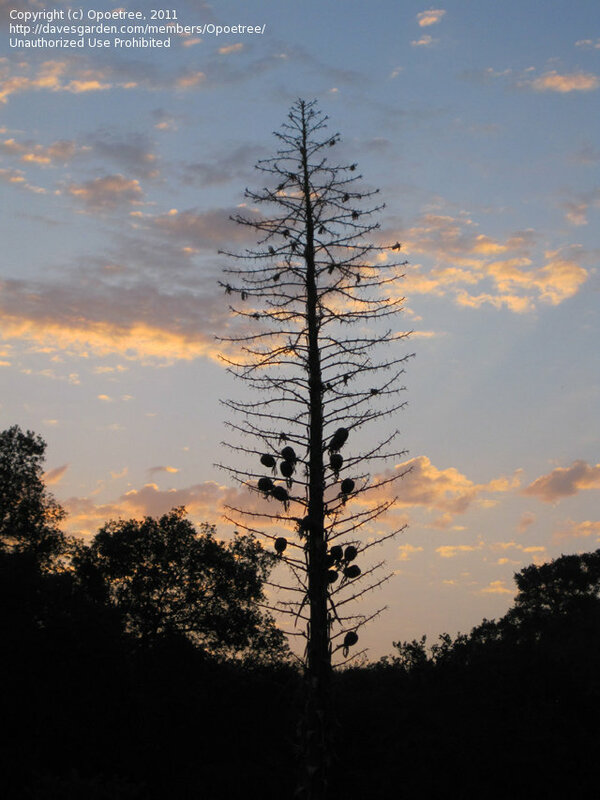 From Encinitas, CA. 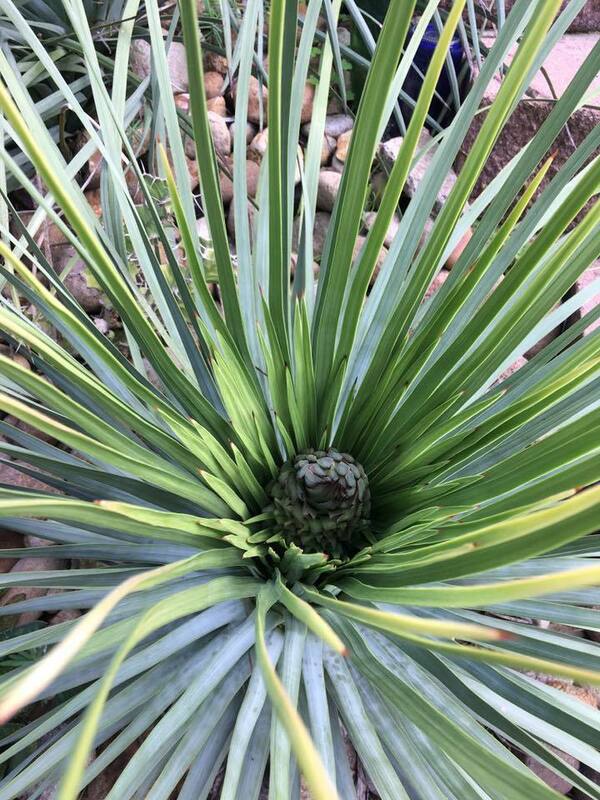 Starting to bud. 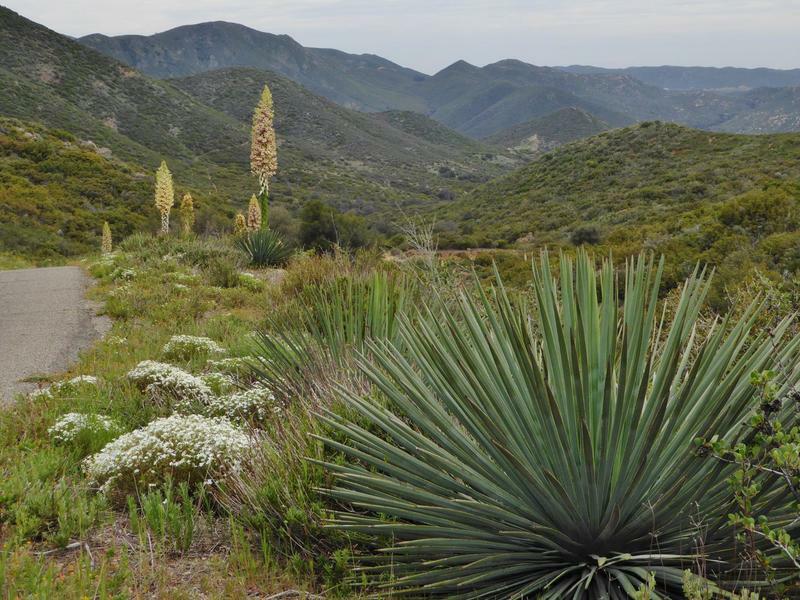 Copyright Jim Bishop, a Landscape Designer, from San Diego, California. 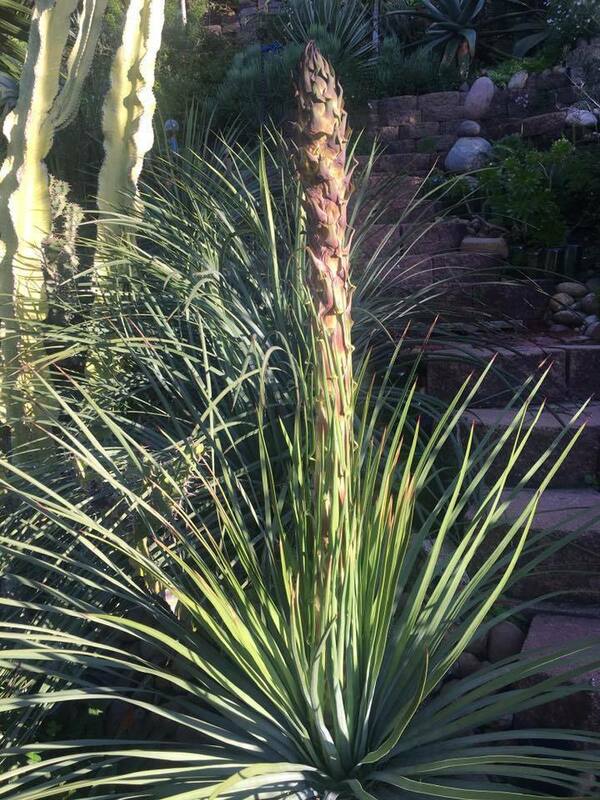 Starting to bud #2. 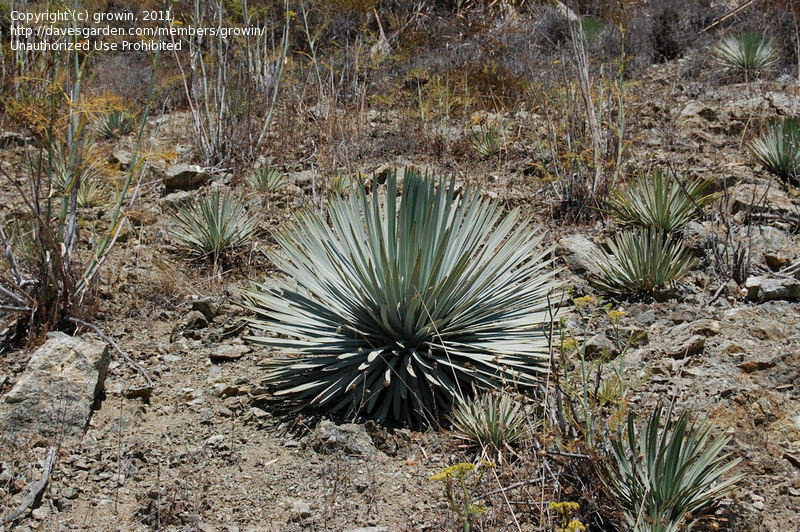 Copyright Jim Bishop, a Landscape Designer, from San Diego, California. 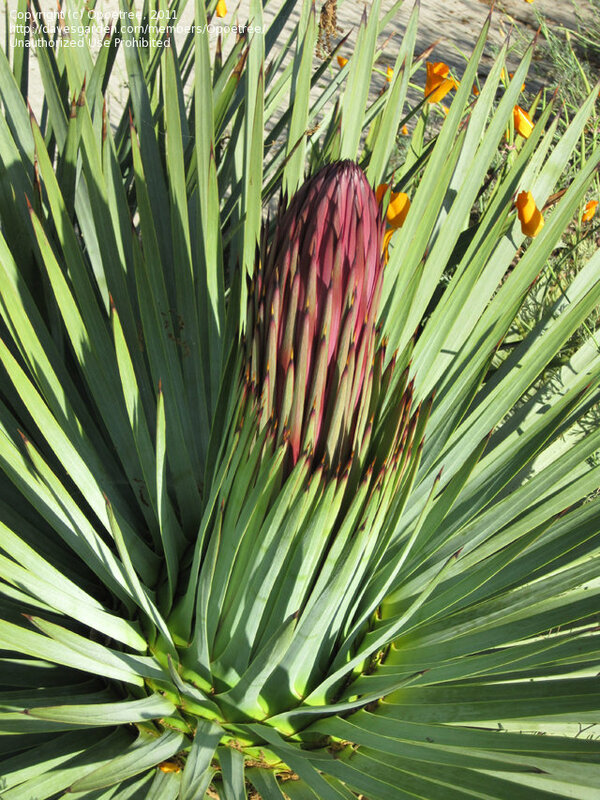 Bud day 13. 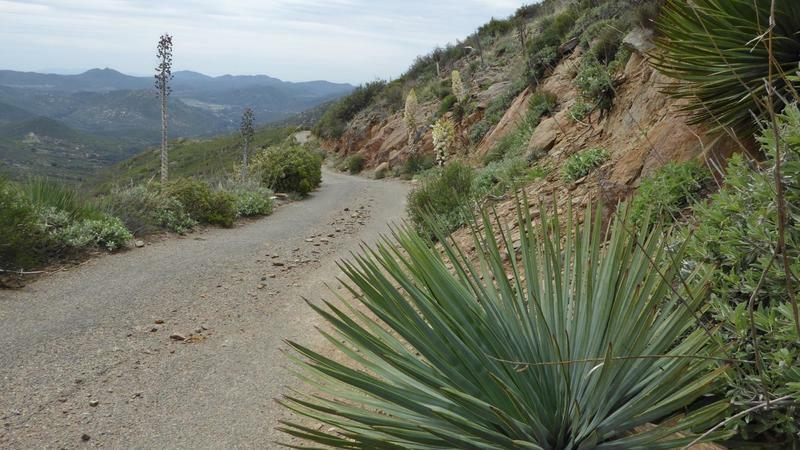 Copyright Jim Bishop, a Landscape Designer, from San Diego, California. 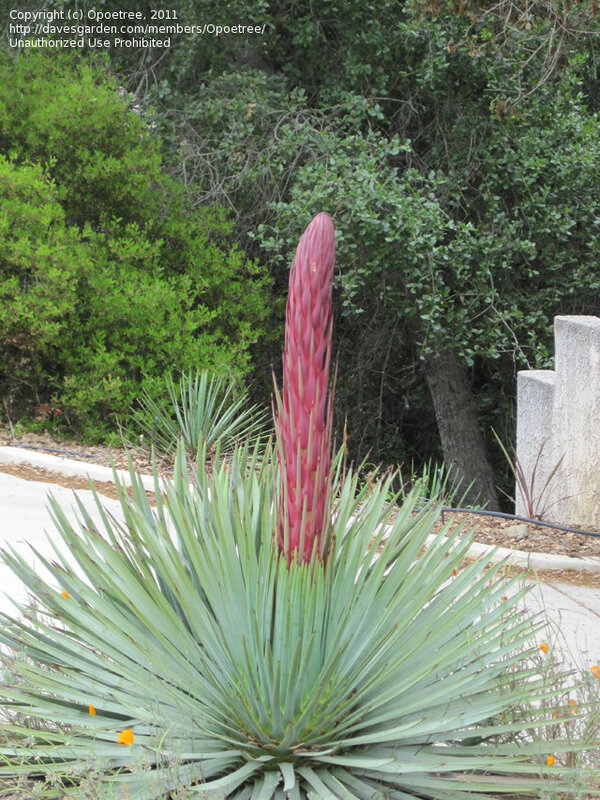 Bud day 14. 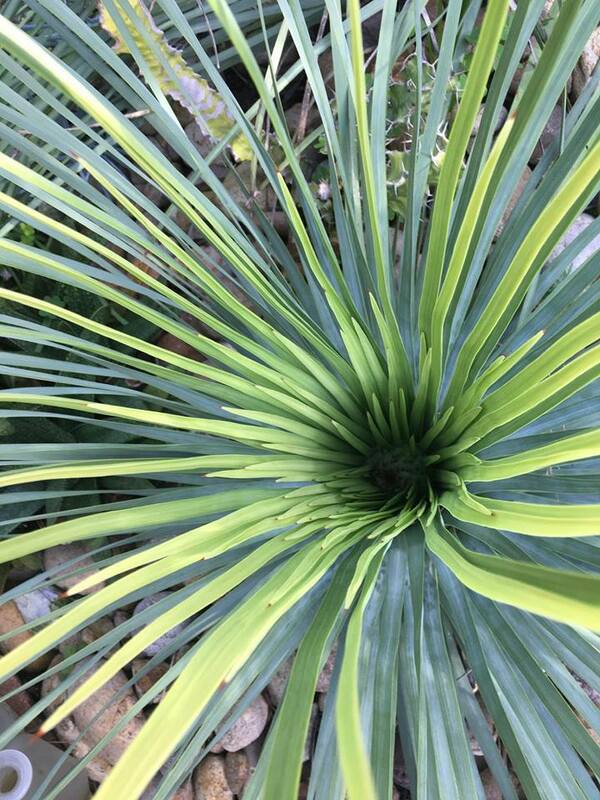 Copyright Jim Bishop, a Landscape Designer, from San Diego, California. 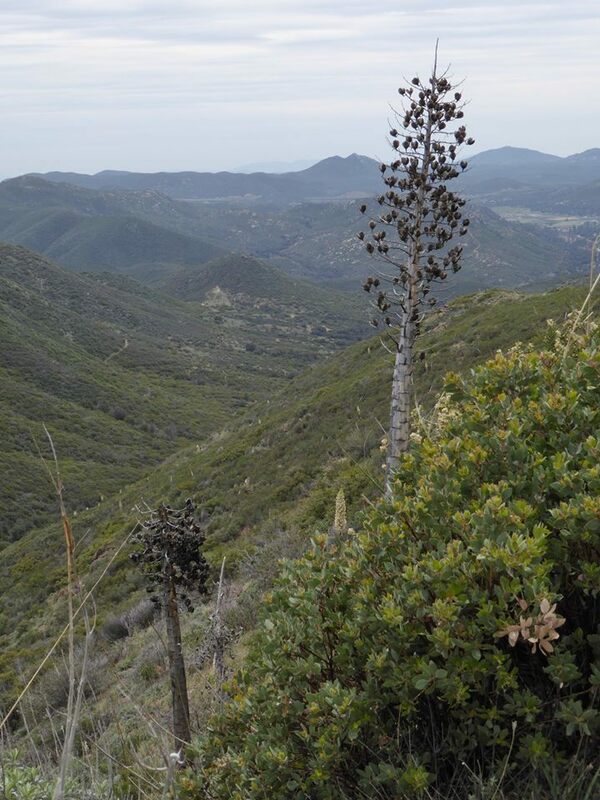 South San Diego County. 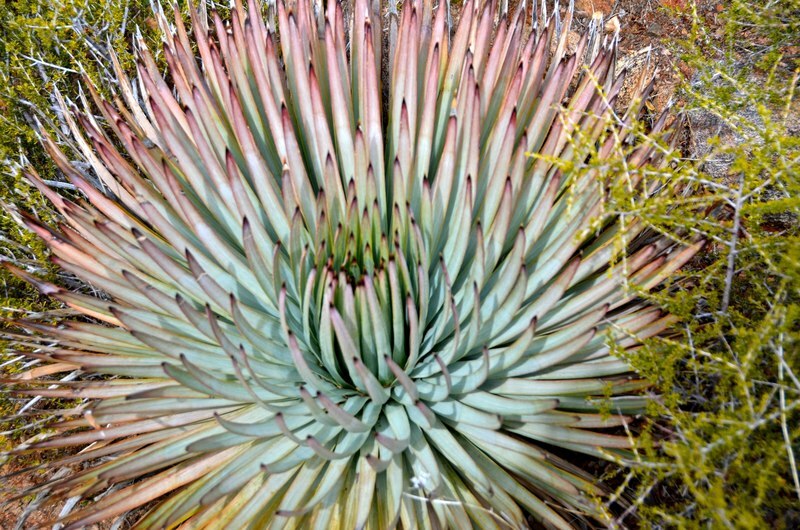 Copyright Jim Bishop, a Landscape Designer, San Diego, CA. 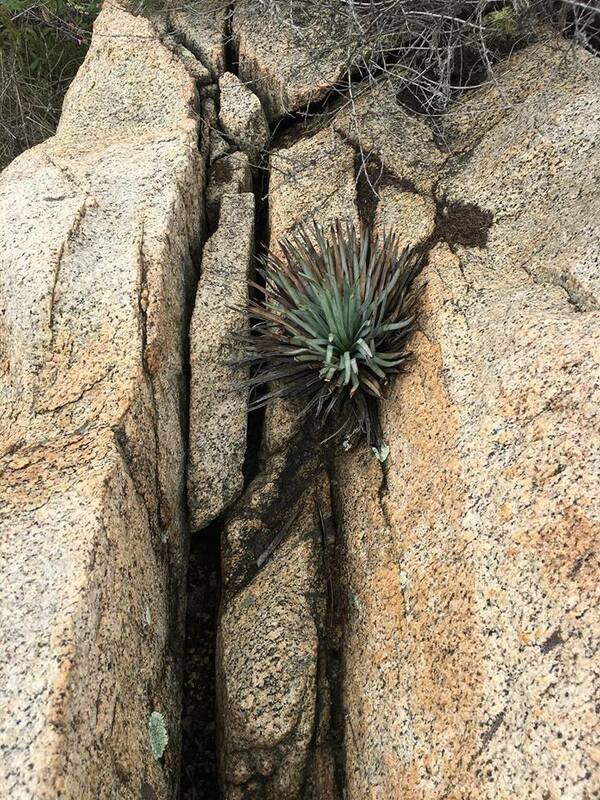 Live and dead. 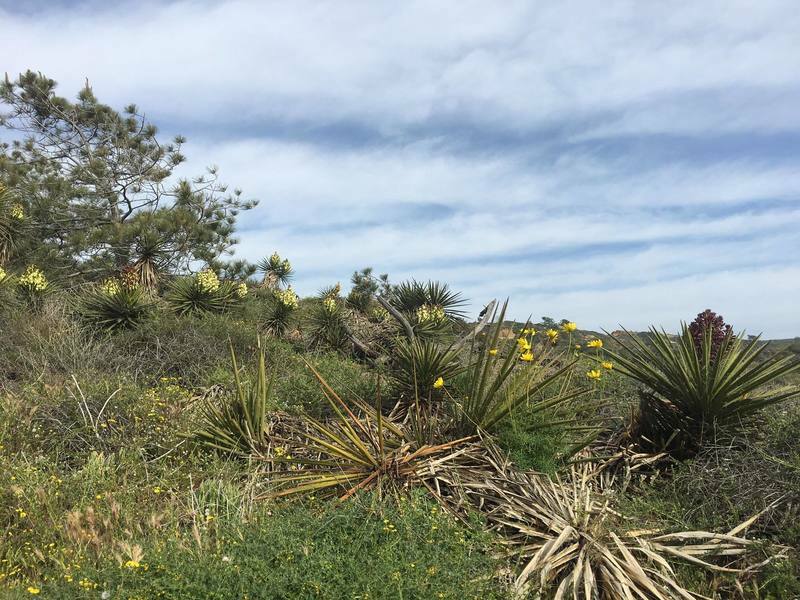 Torrey Pines State Preserve. 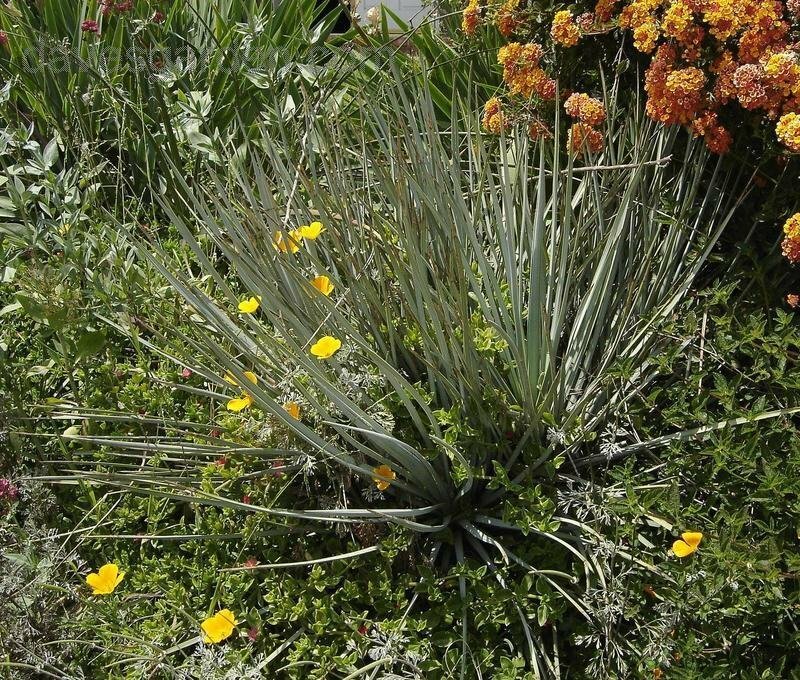 Copyright of Jim Bishop, a San Diego, California Landscape Designer. 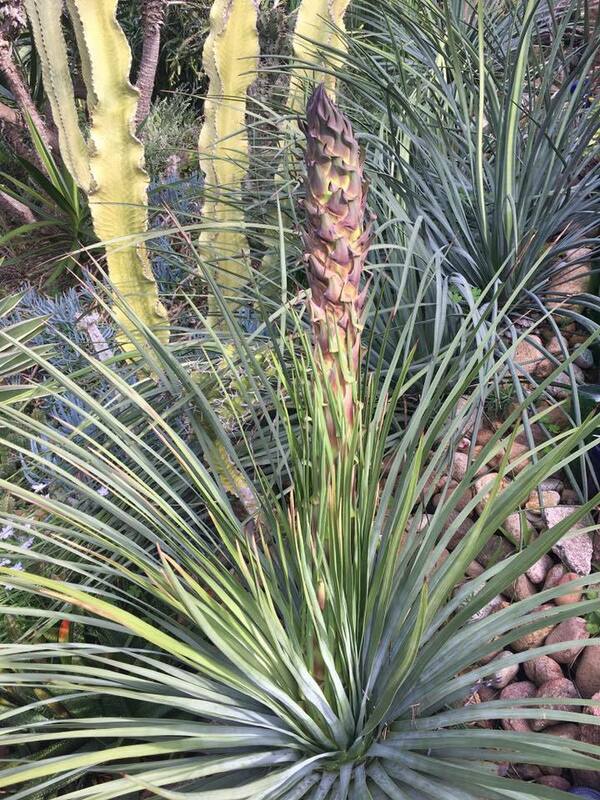 Copyright Jeremy Spath, owner at Water's Path Landscape Design and Curator at Rancho Soledad Nursery.